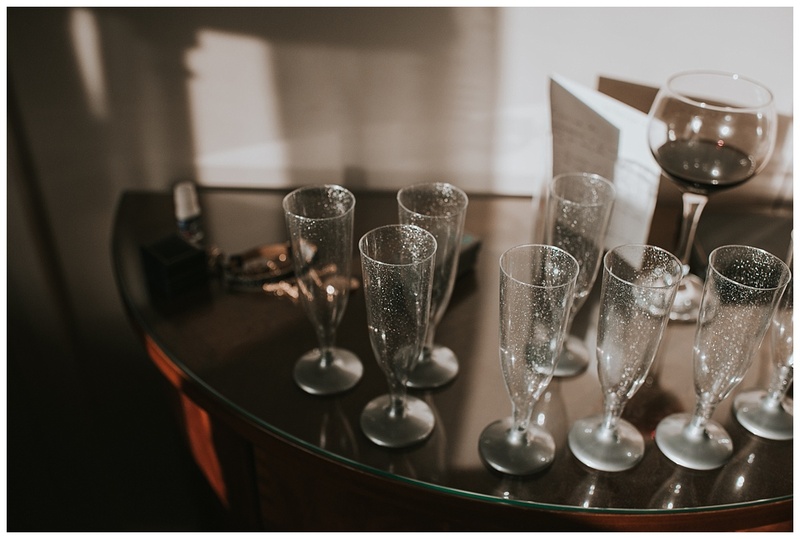 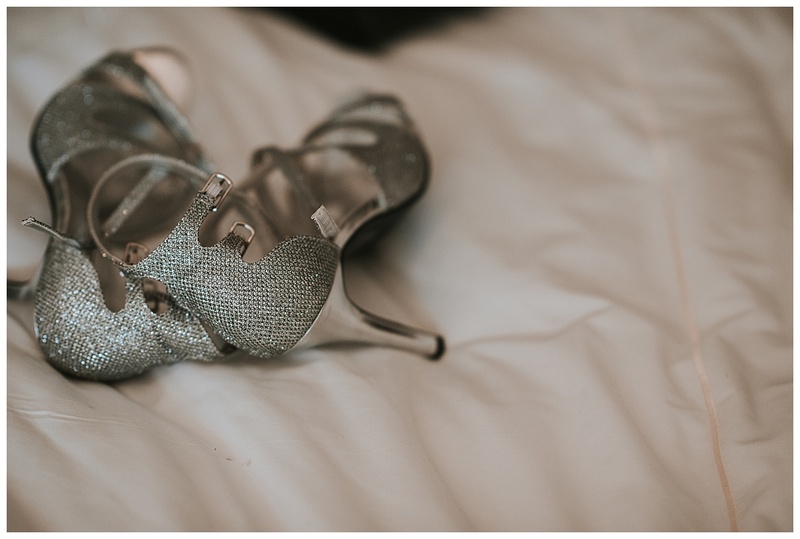 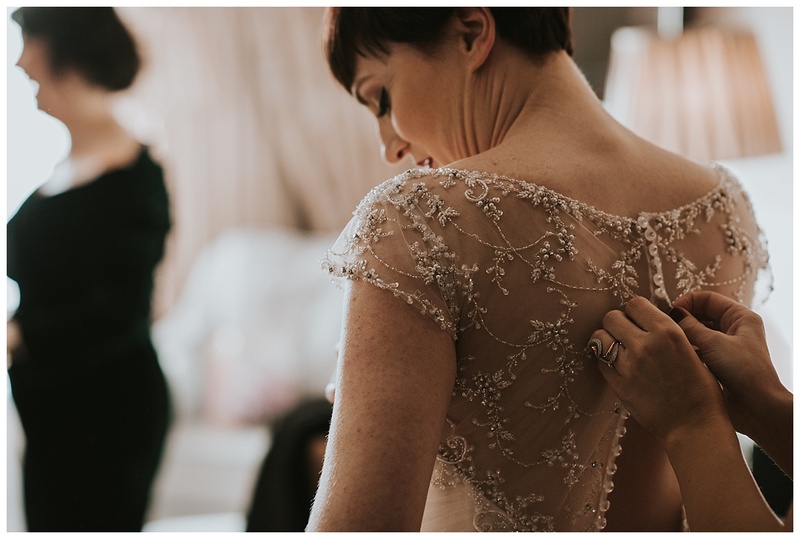 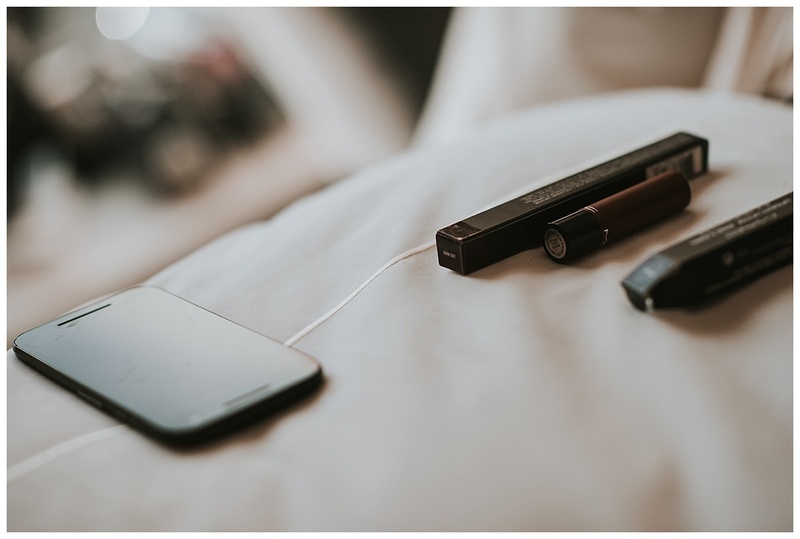 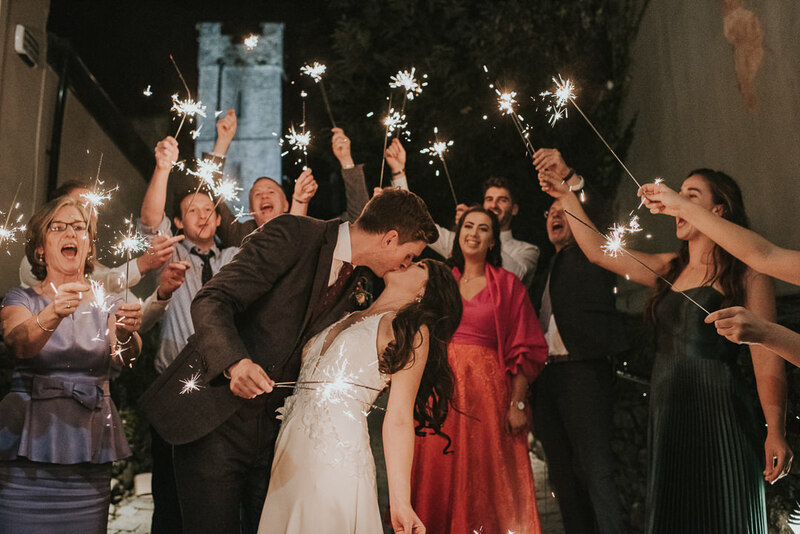 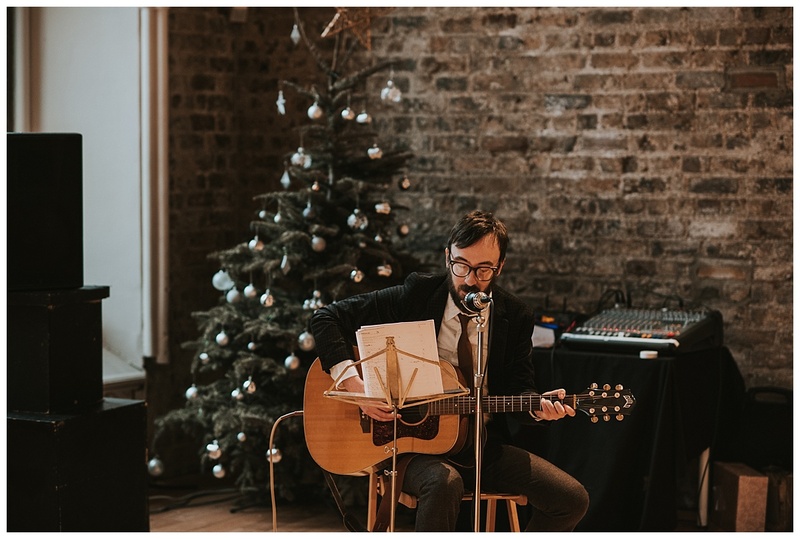 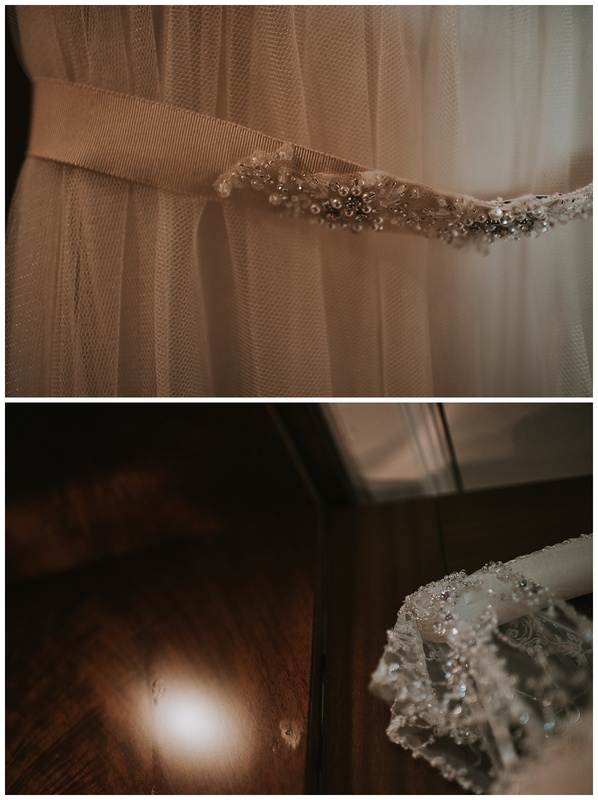 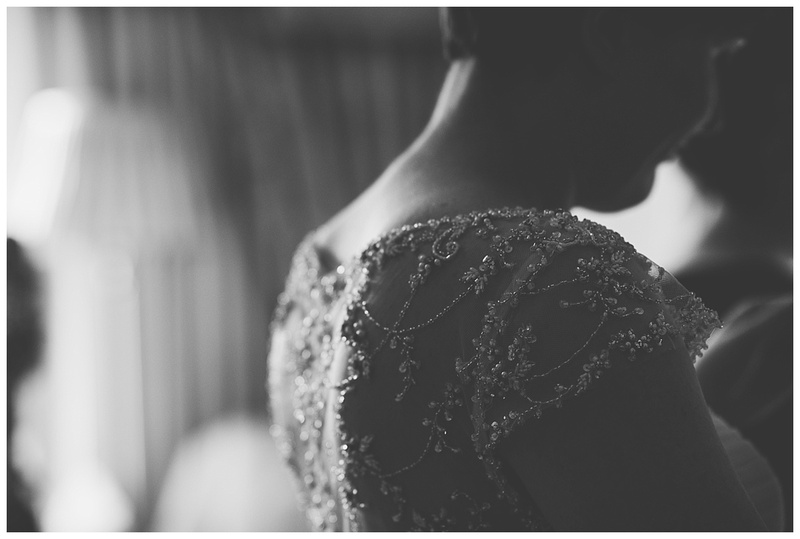 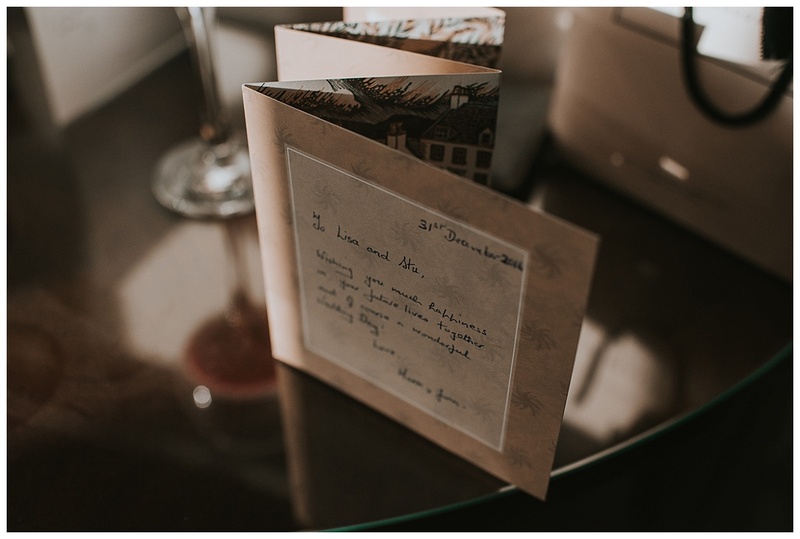 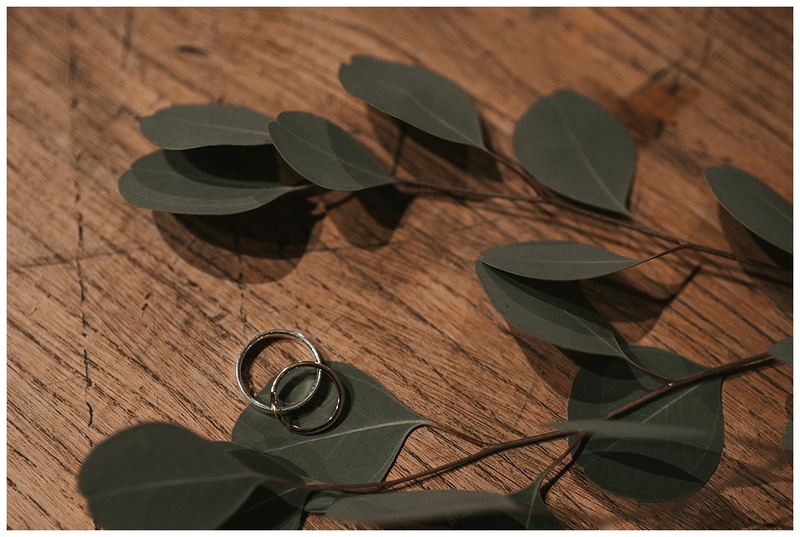 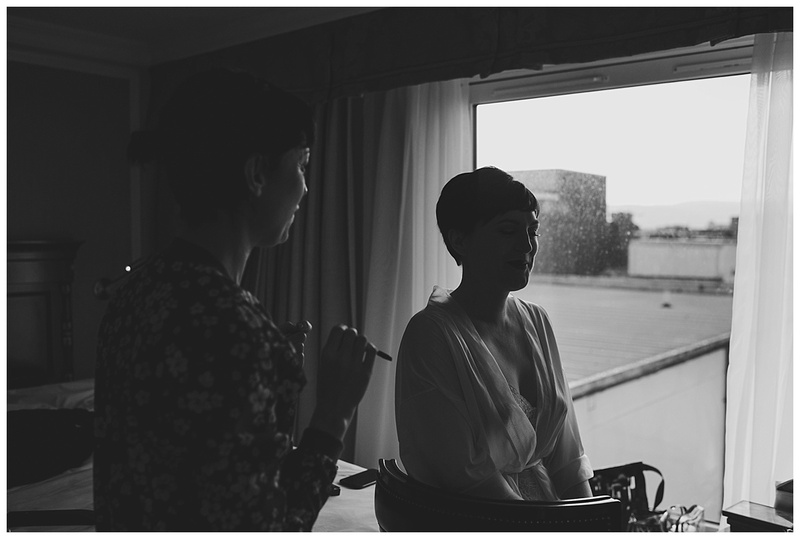 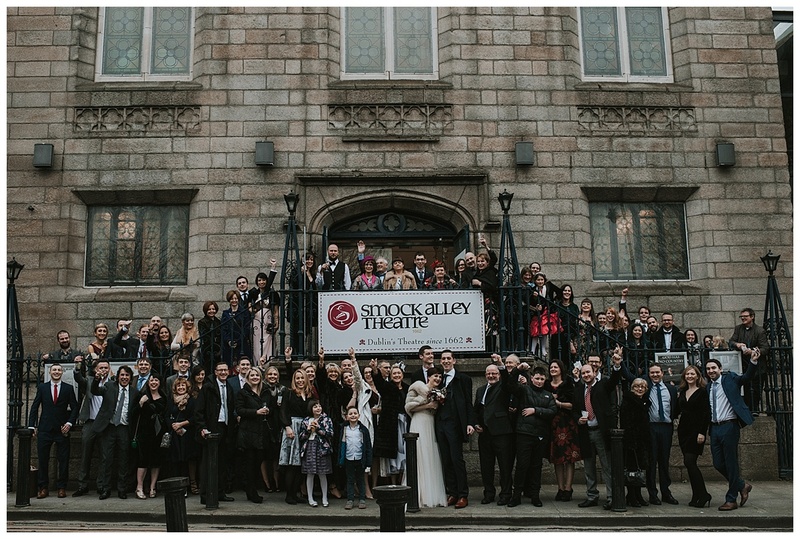 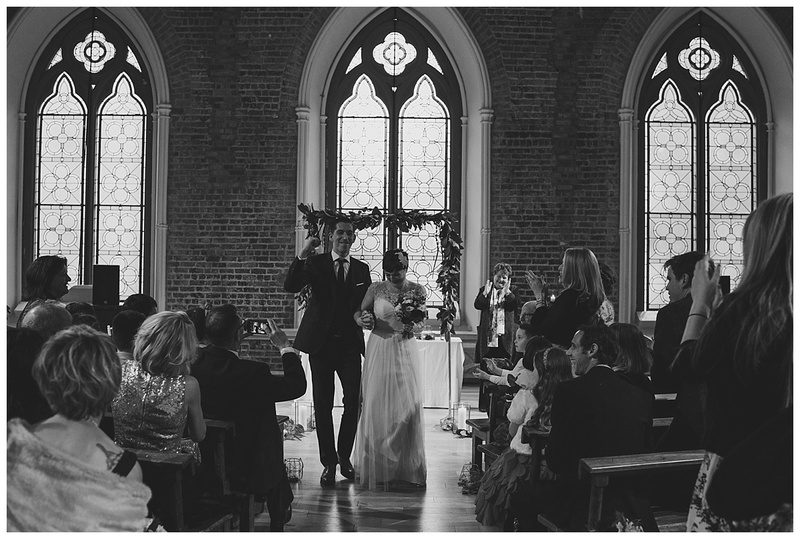 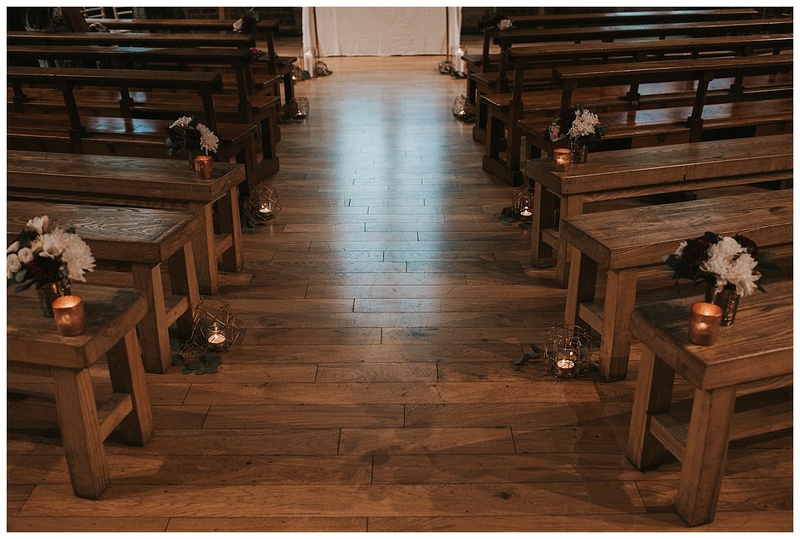 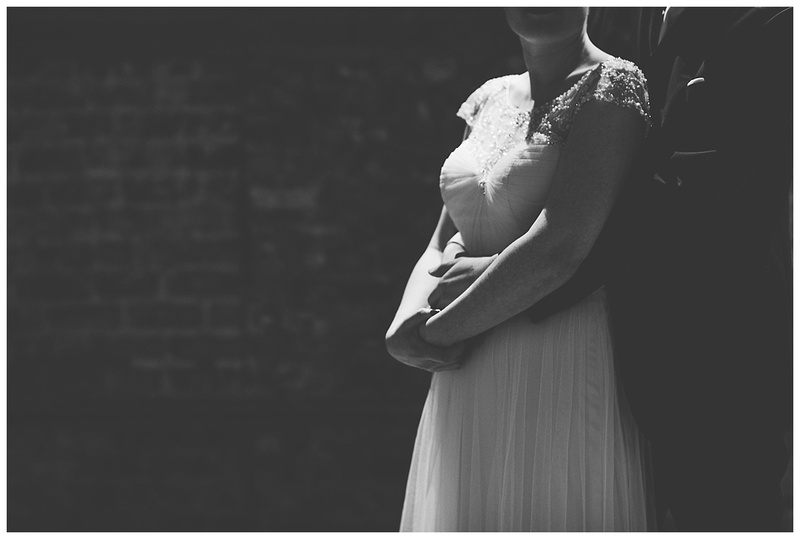 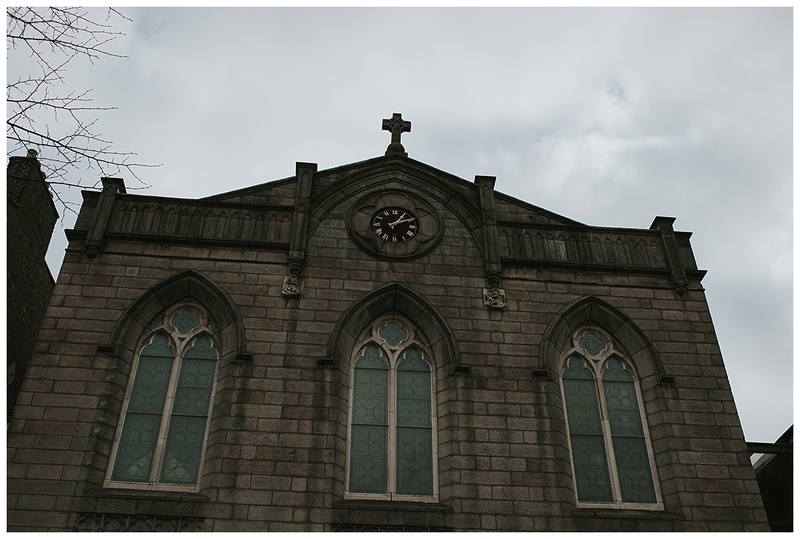 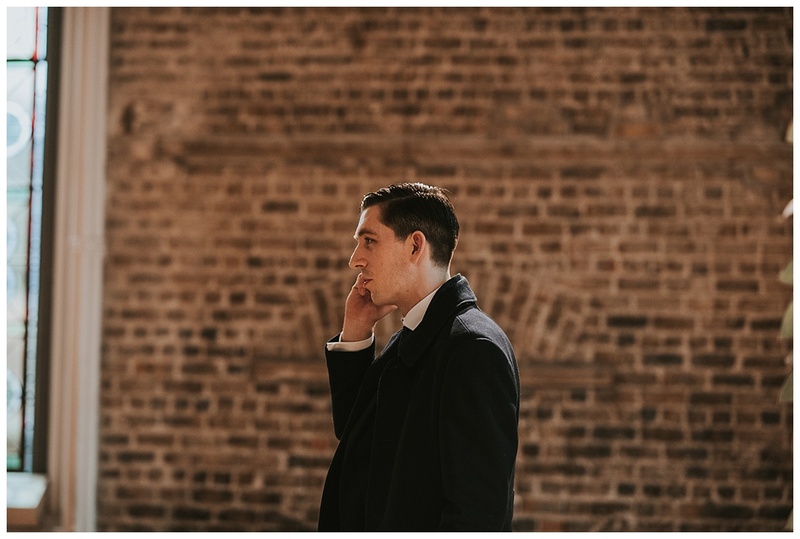 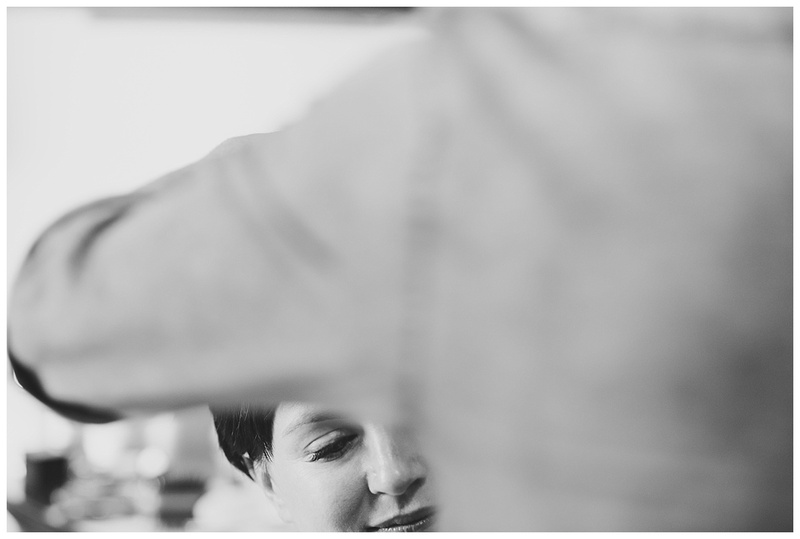 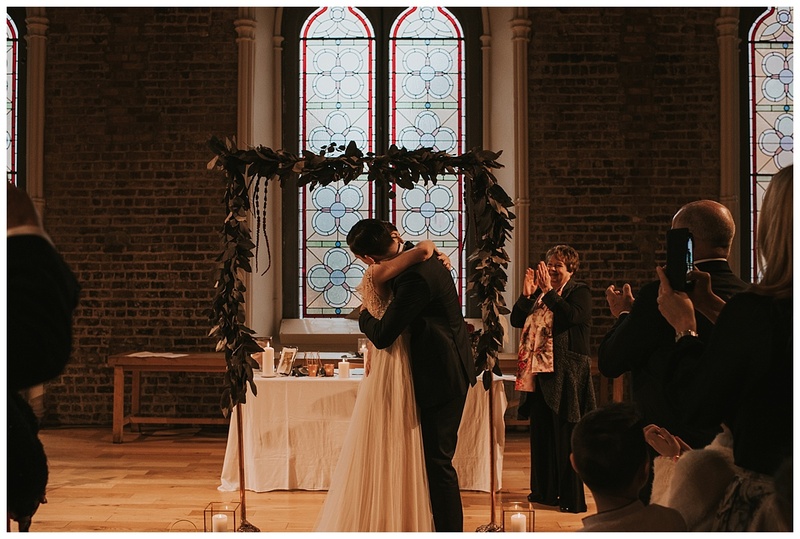 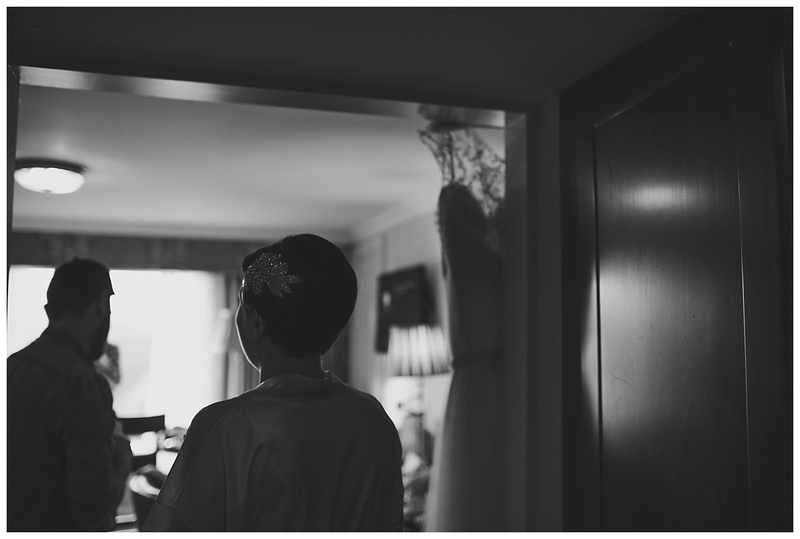 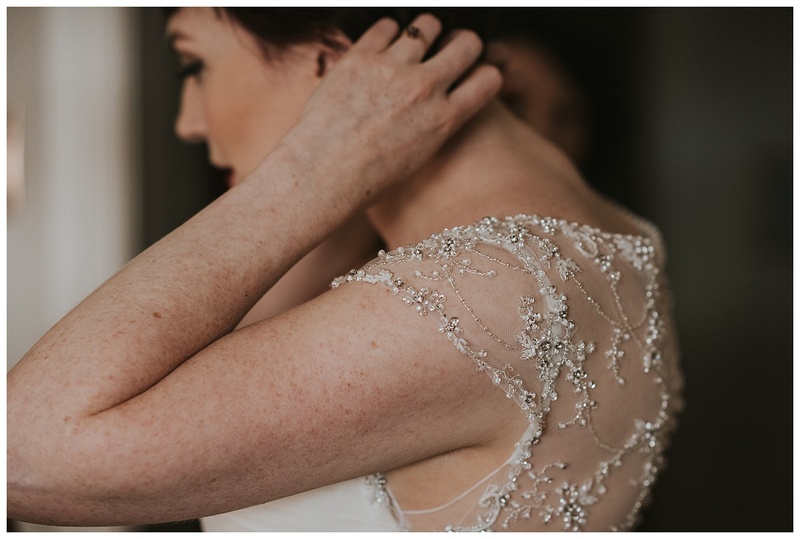 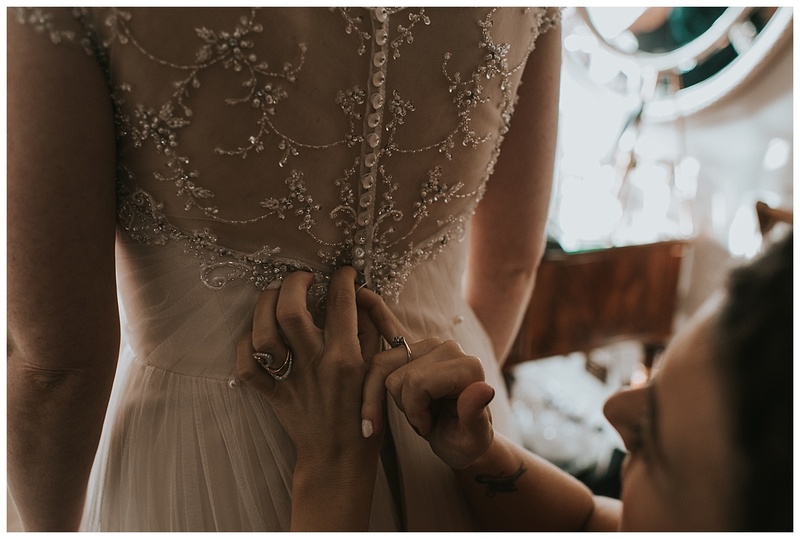 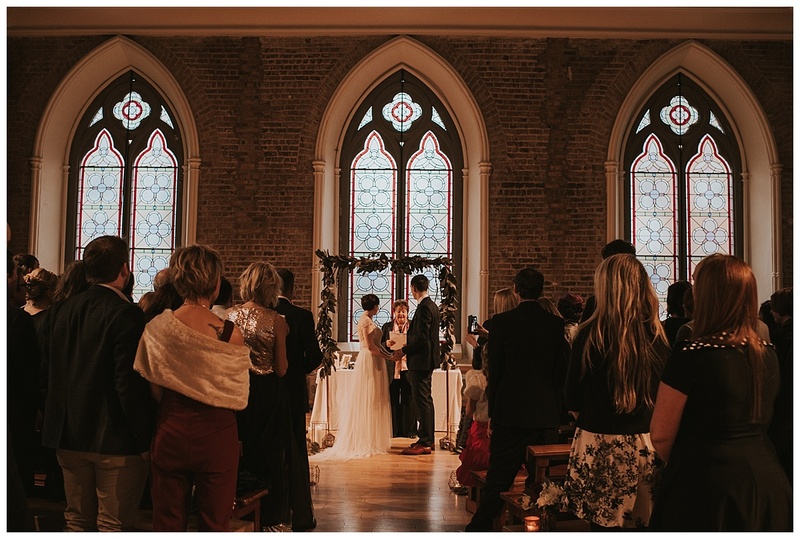 Finally getting around to blogging Lisa and Stu’s beautiful intimate New Year’s Eve Smock Alley Wedding. 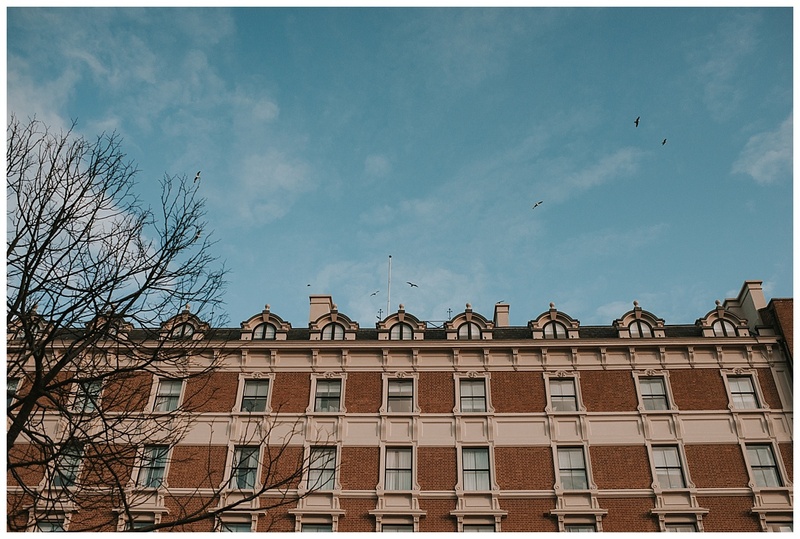 It was a crisp New Year’s Eve day filled with glorious winter sunshine. 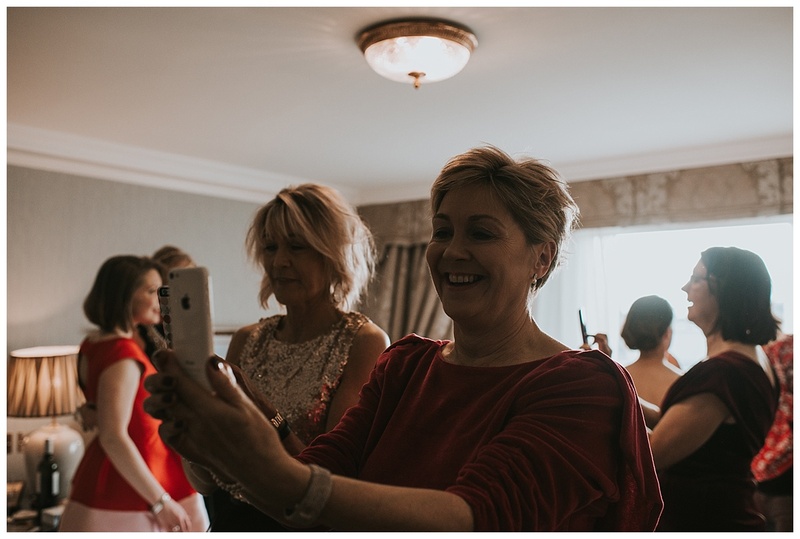 I arrived up to the Shelbourne where Lisa was getting ready to a hive of activity! 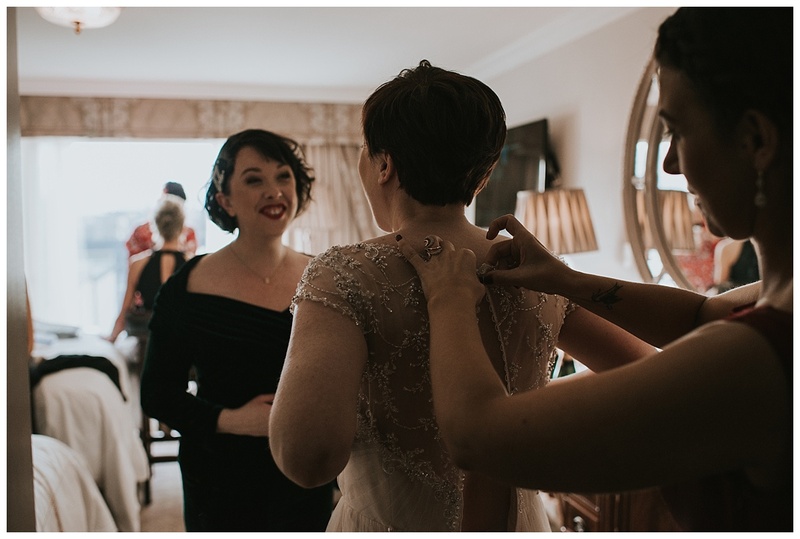 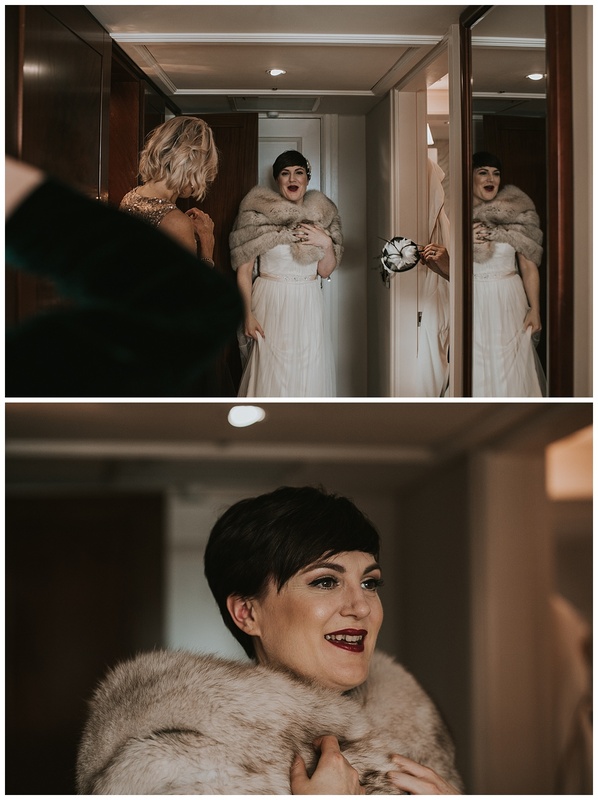 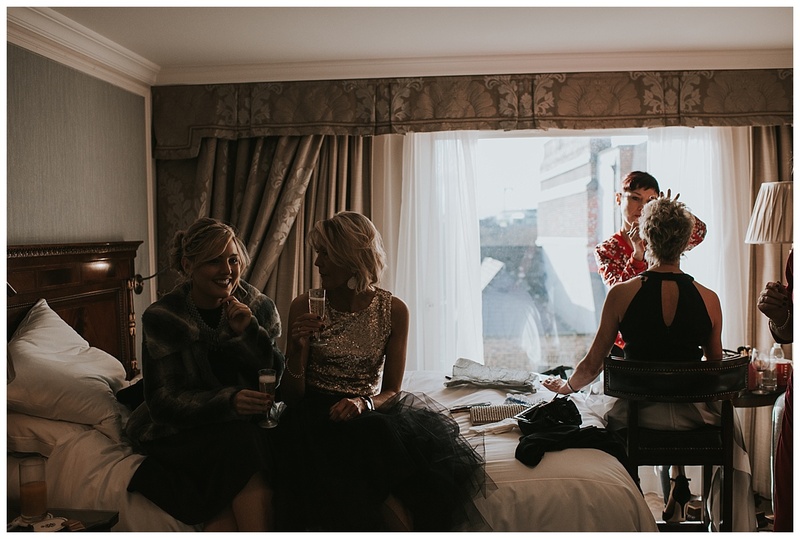 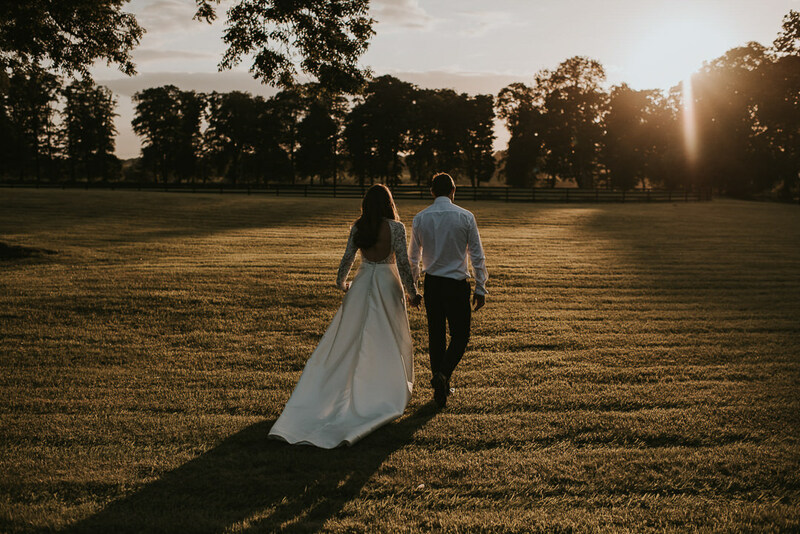 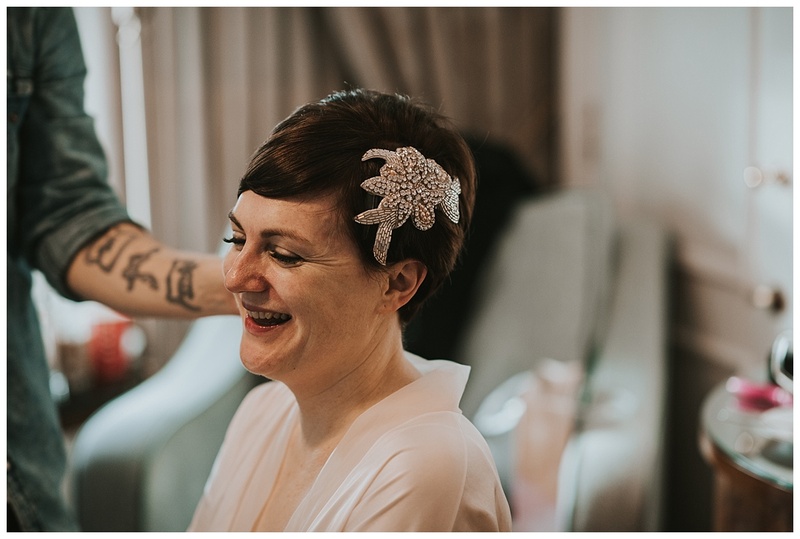 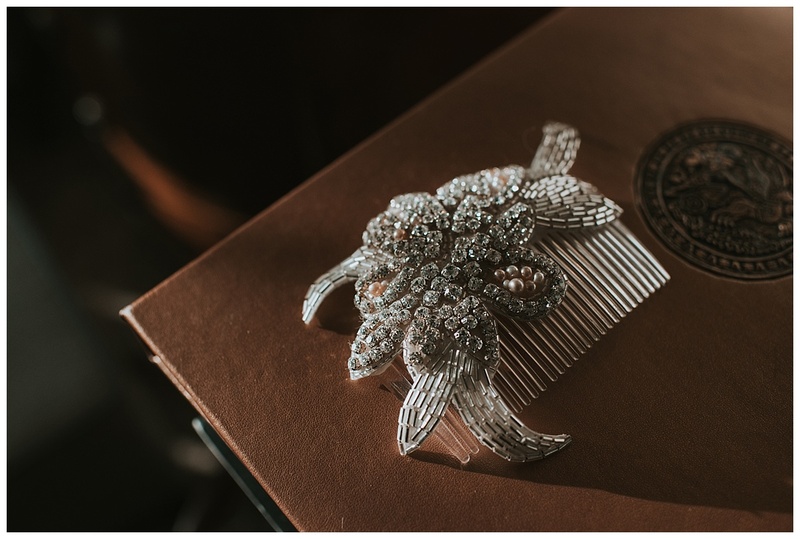 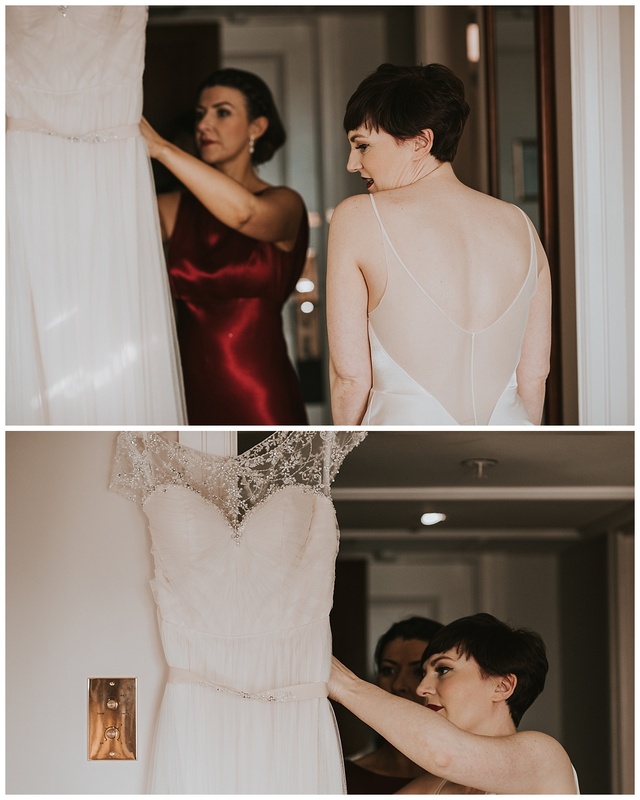 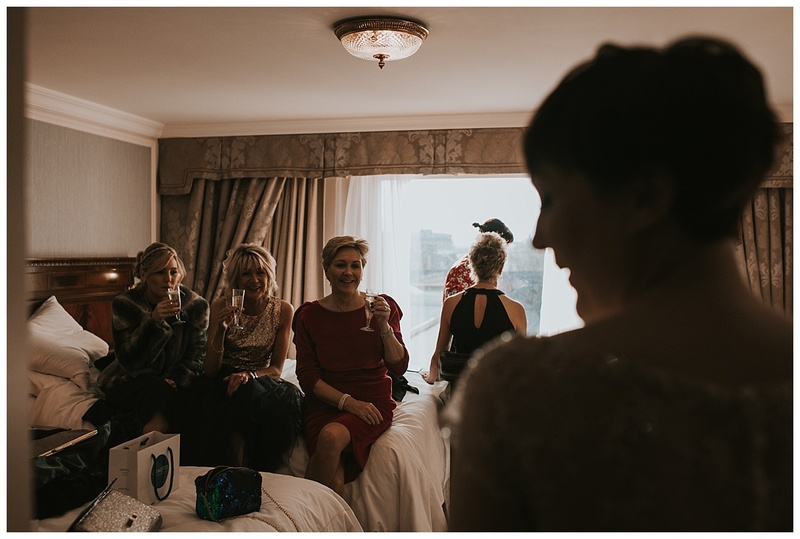 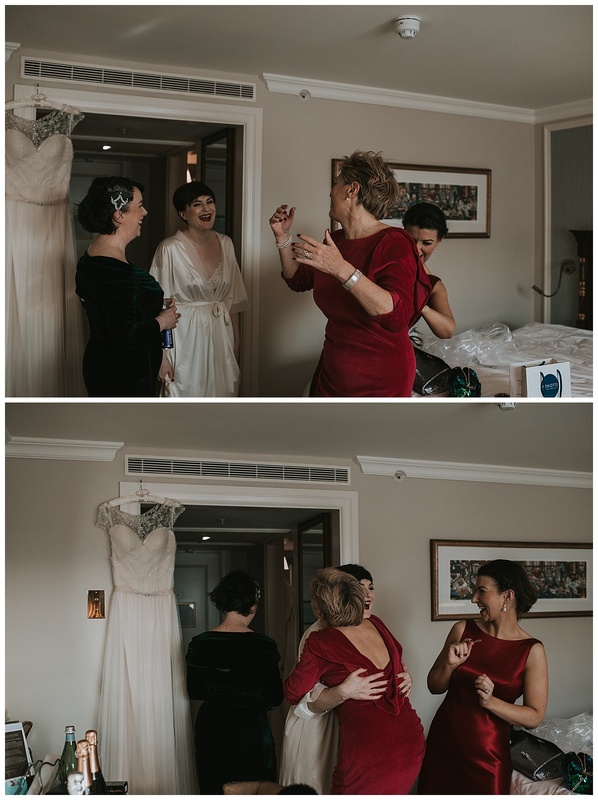 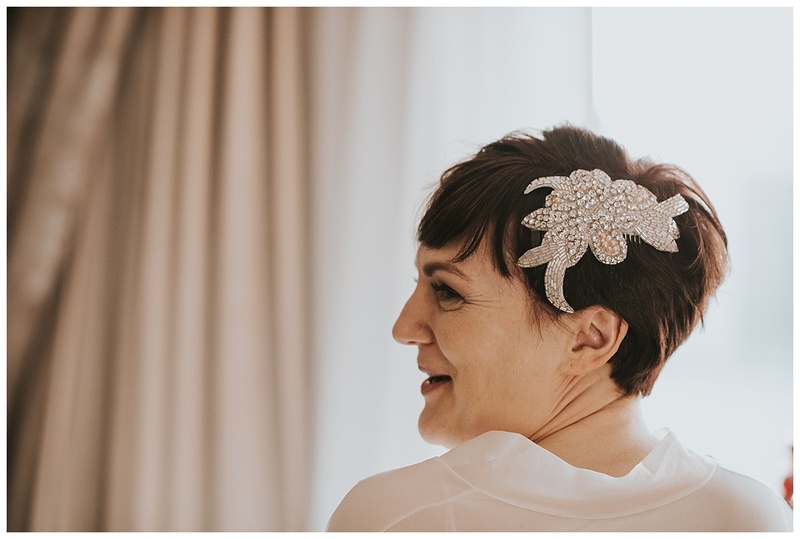 Lisa had a beautiful vintage style dress with the most amazing faux fur stole topped off with a gorgeous hair slide completing the vintage look to a tee! 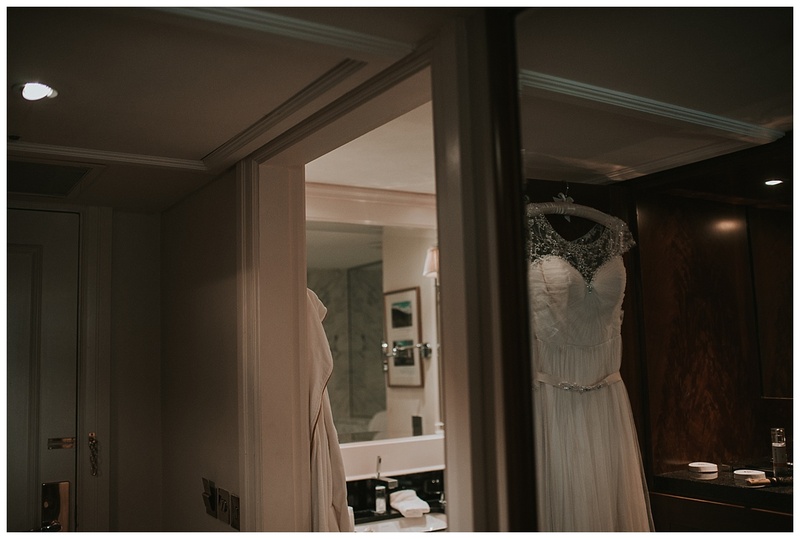 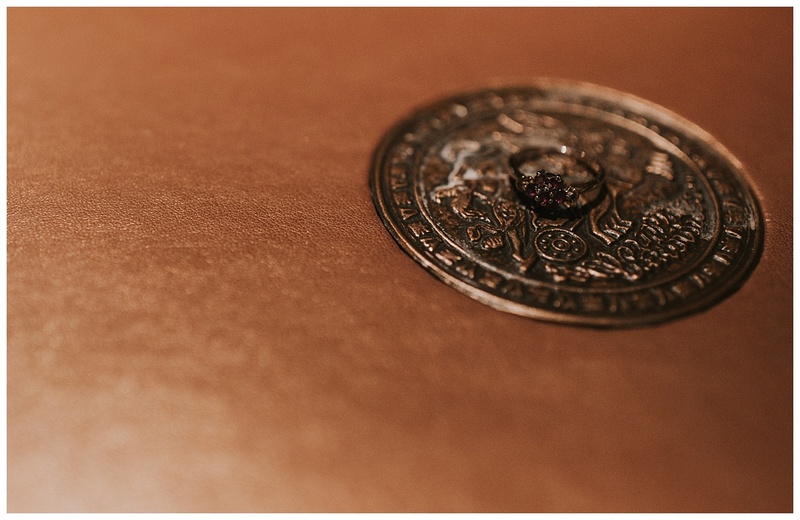 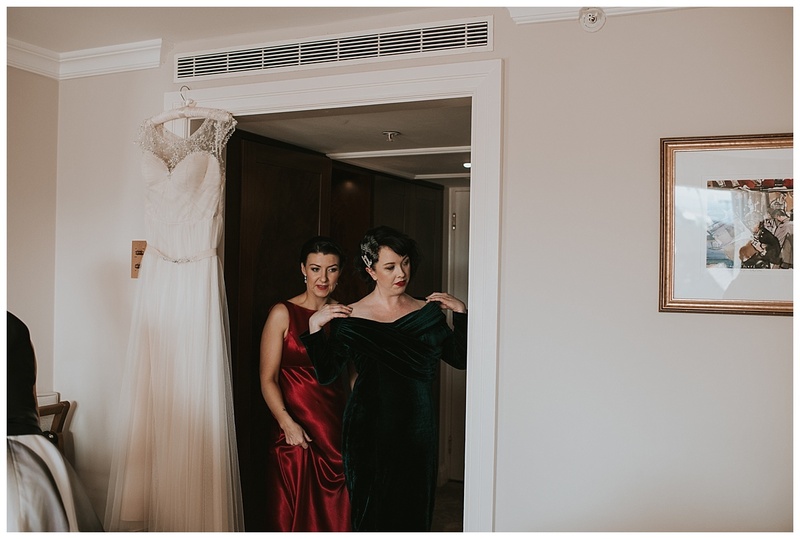 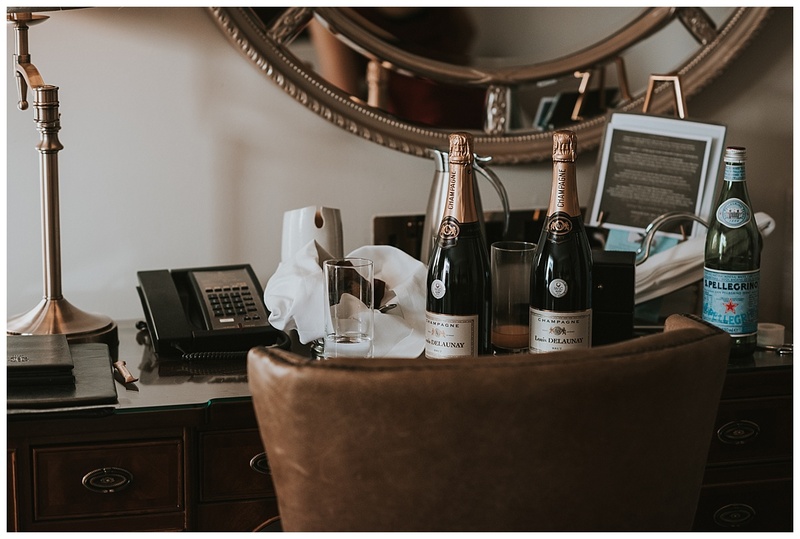 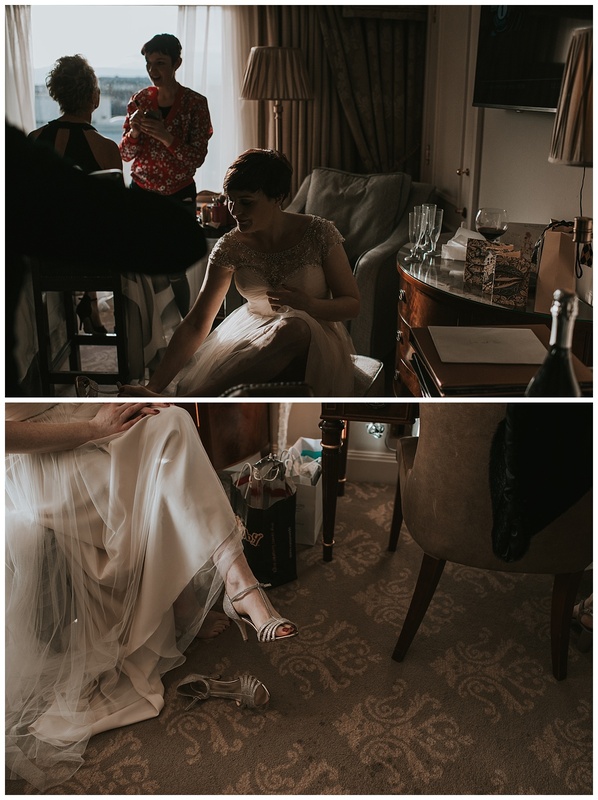 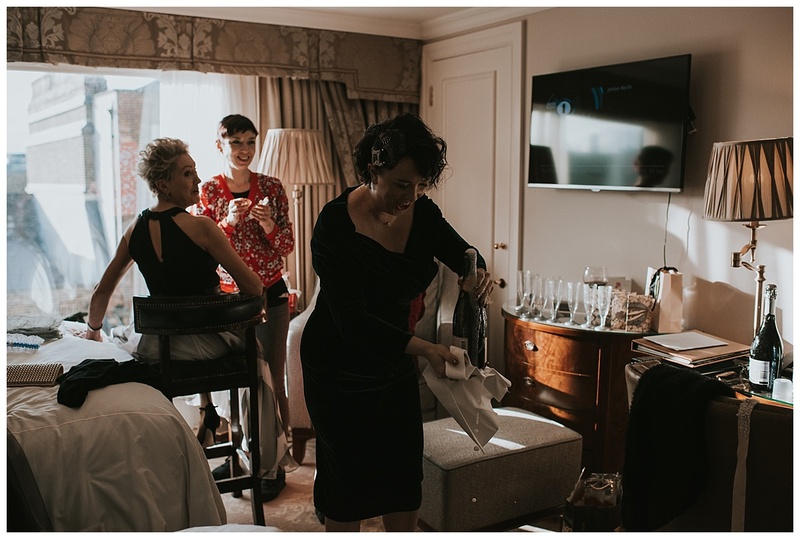 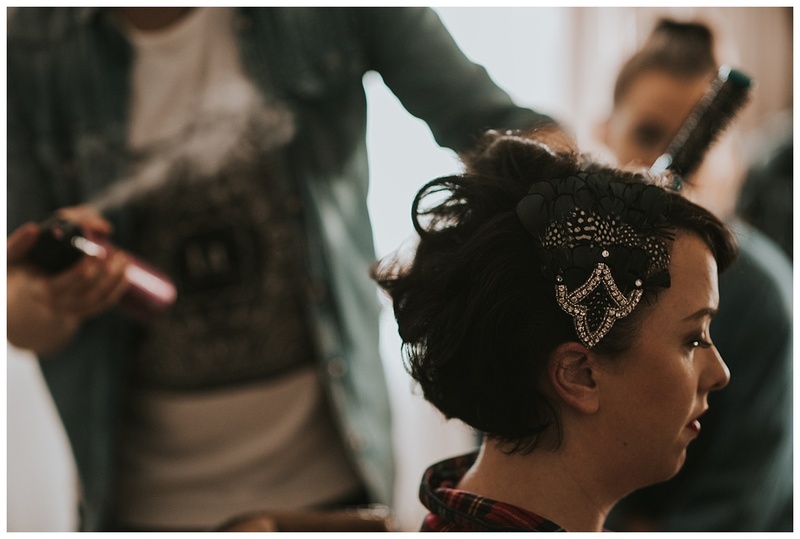 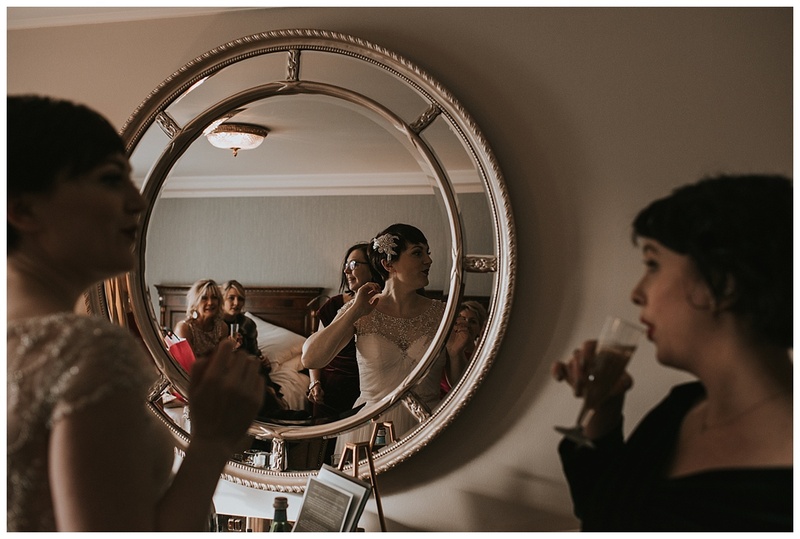 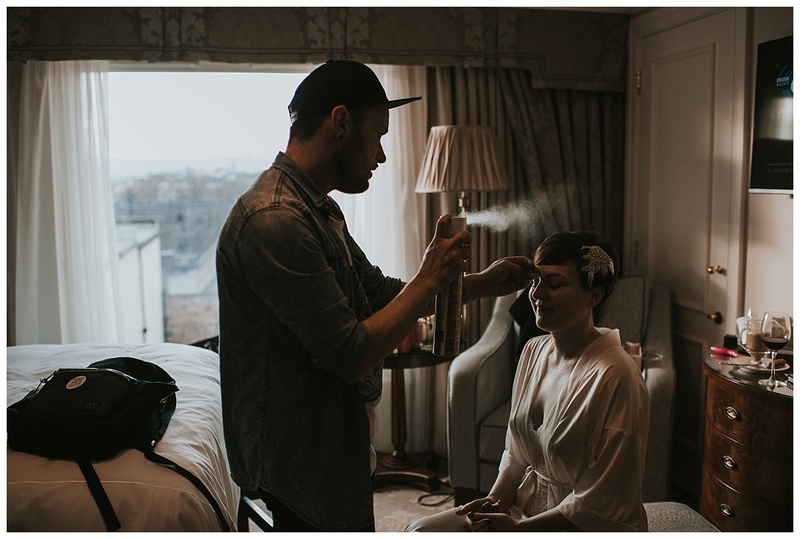 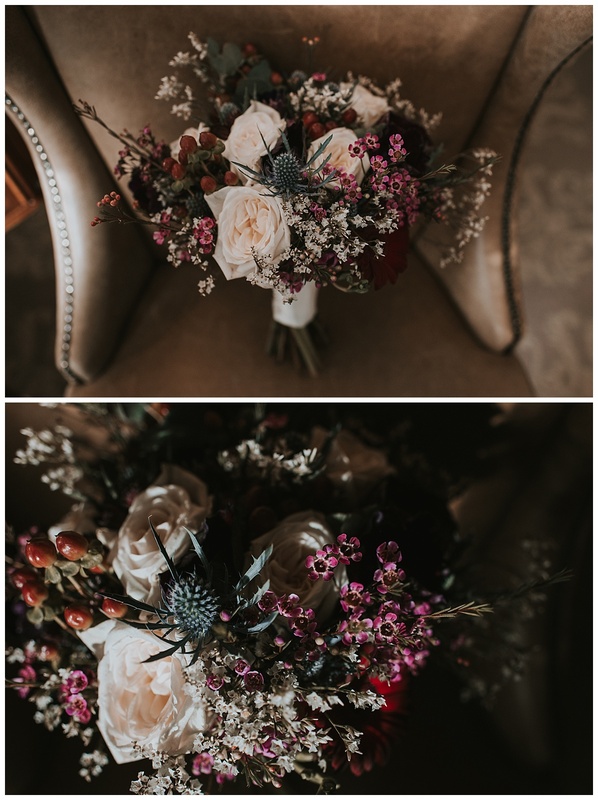 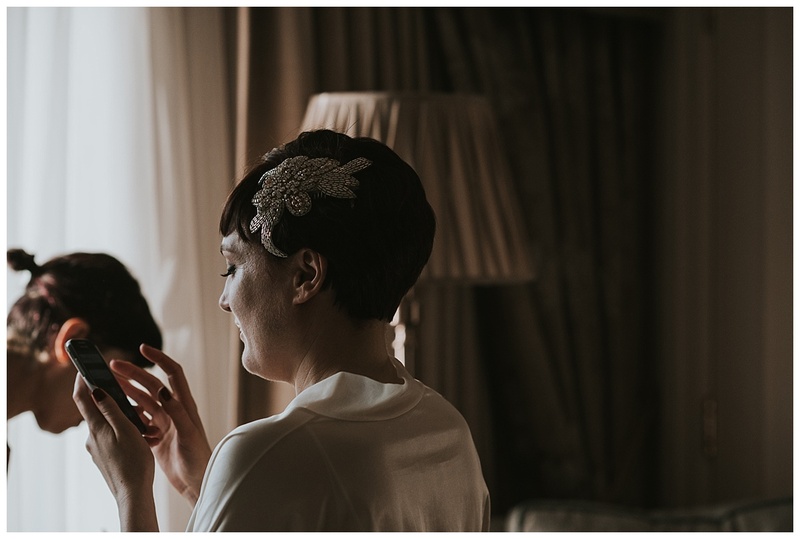 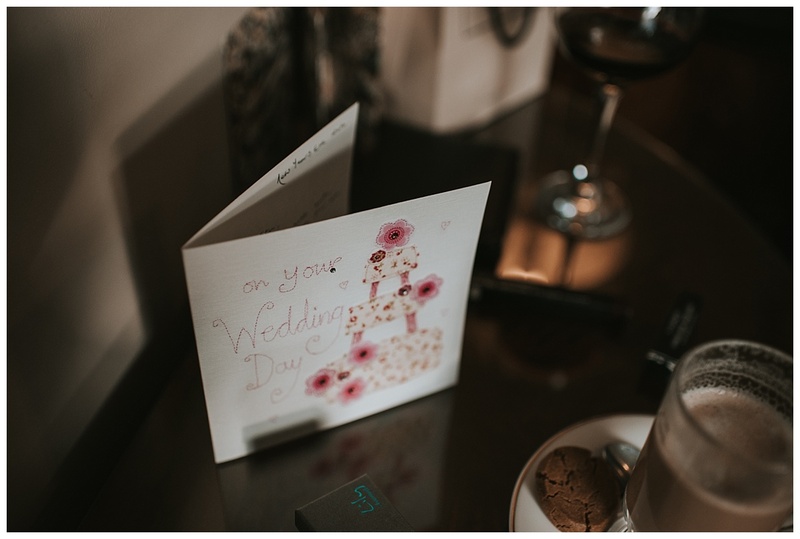 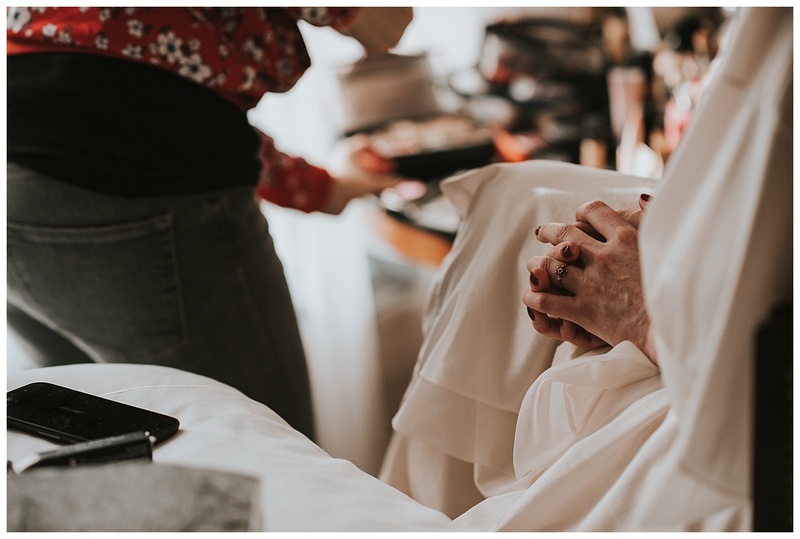 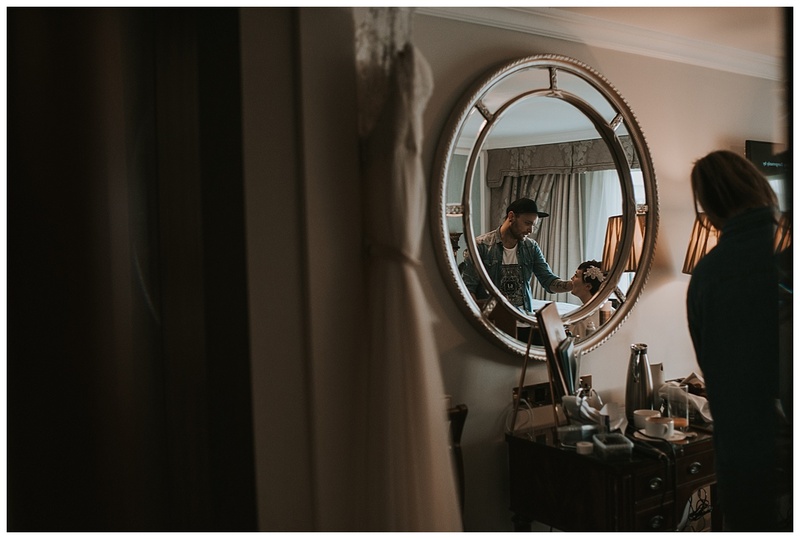 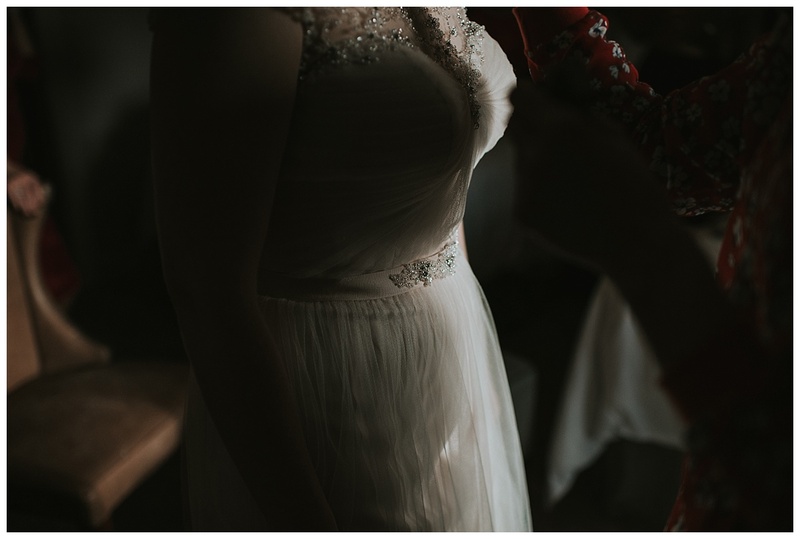 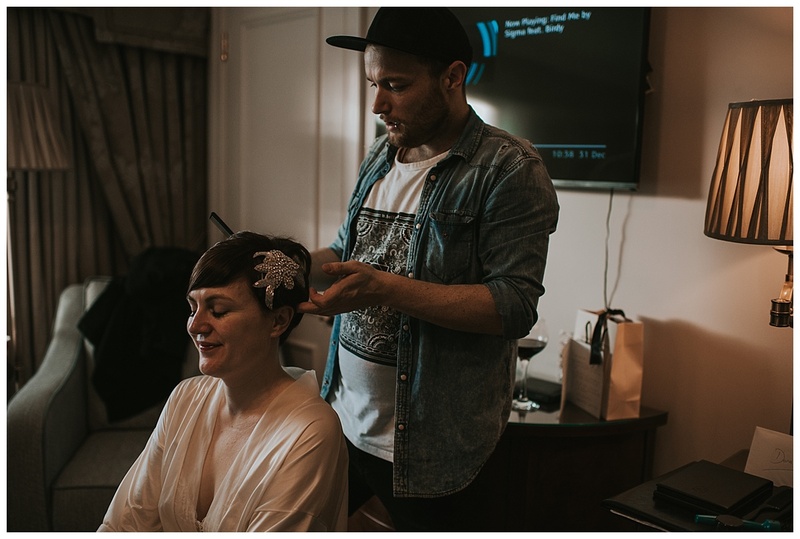 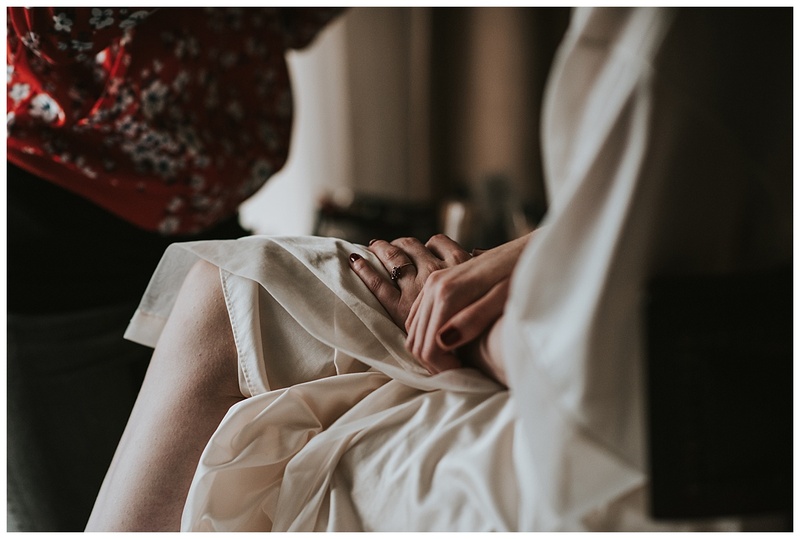 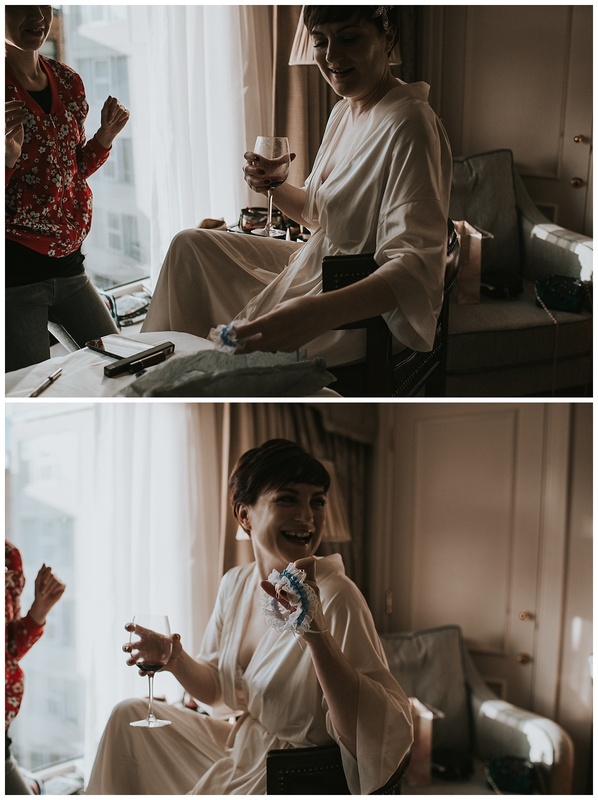 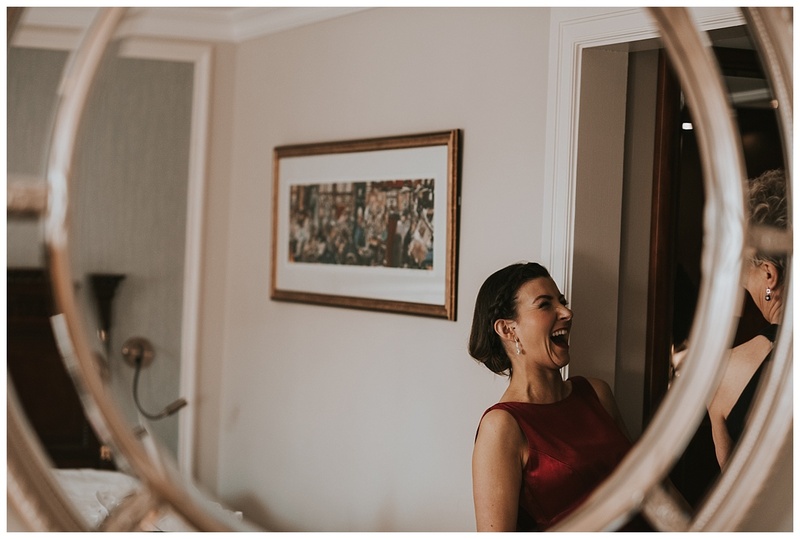 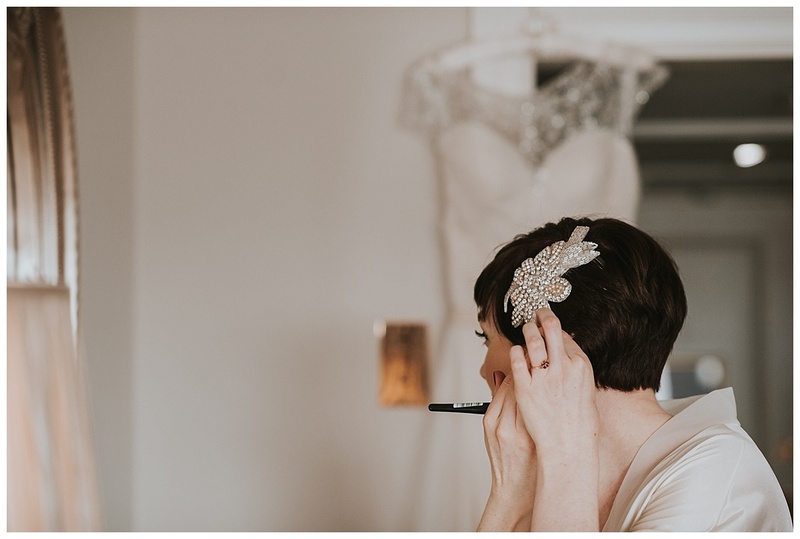 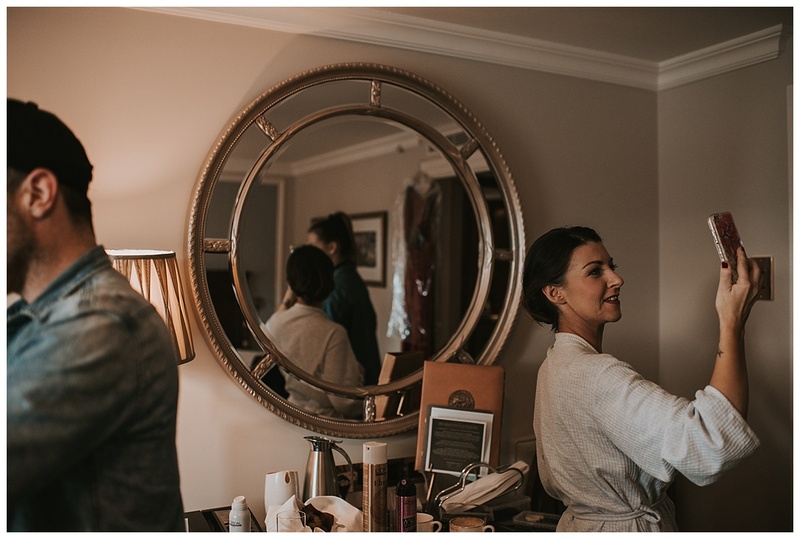 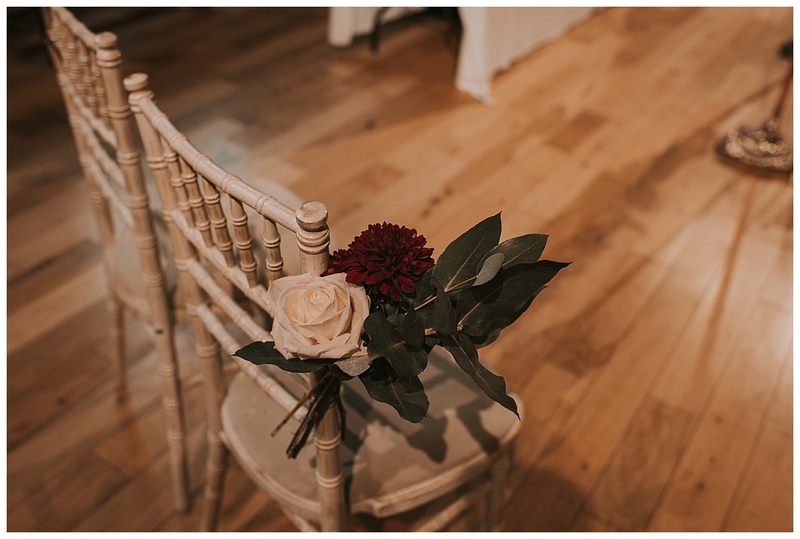 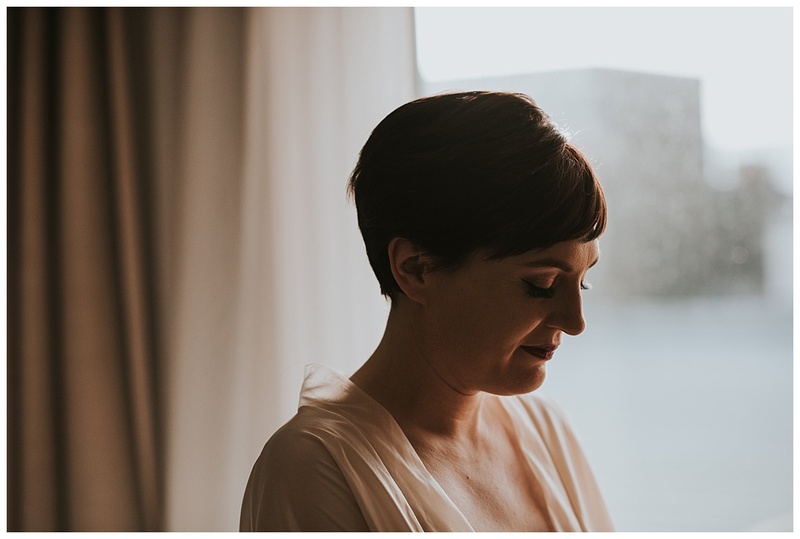 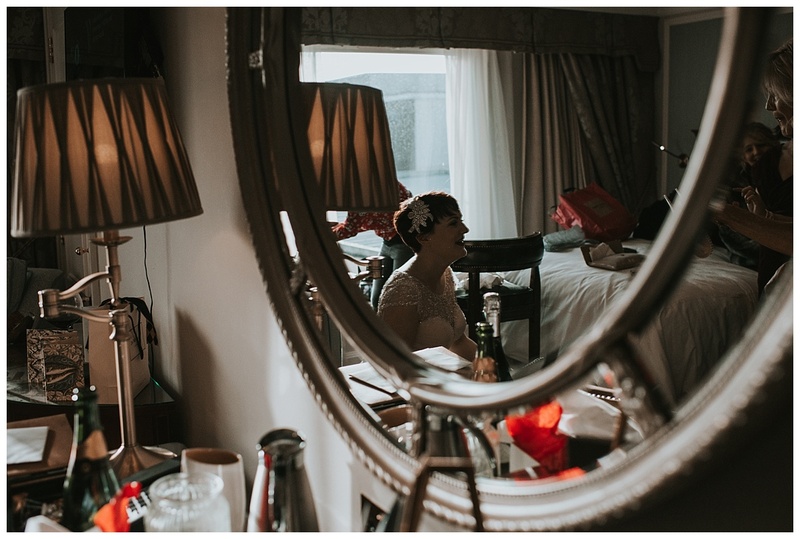 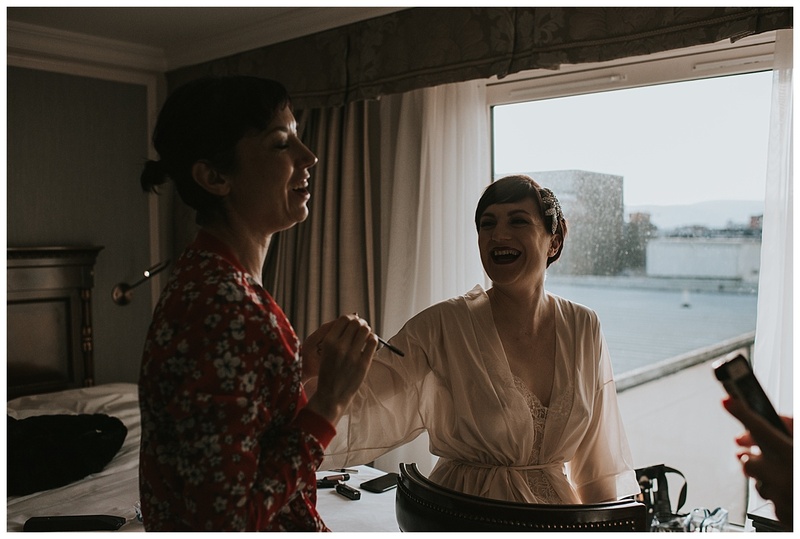 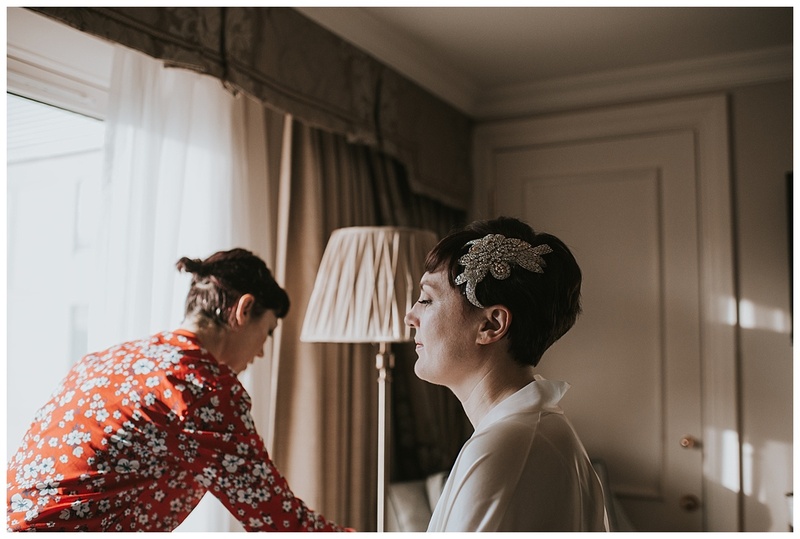 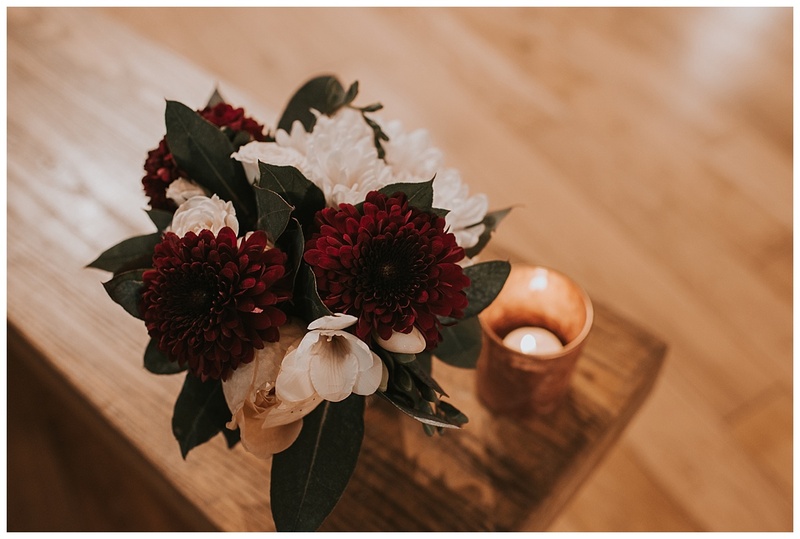 Even while she was getting ready she wore a vintage silk dressing gown and nightdress, talk about getting ready in style, she even had a little nod to Stu’s home place of Scotland with a thistle amongst the rich berry tones of her bouquet. 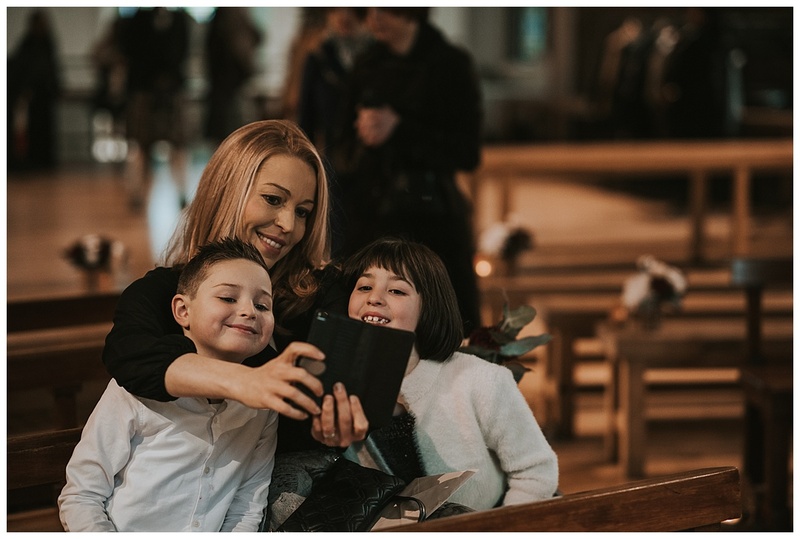 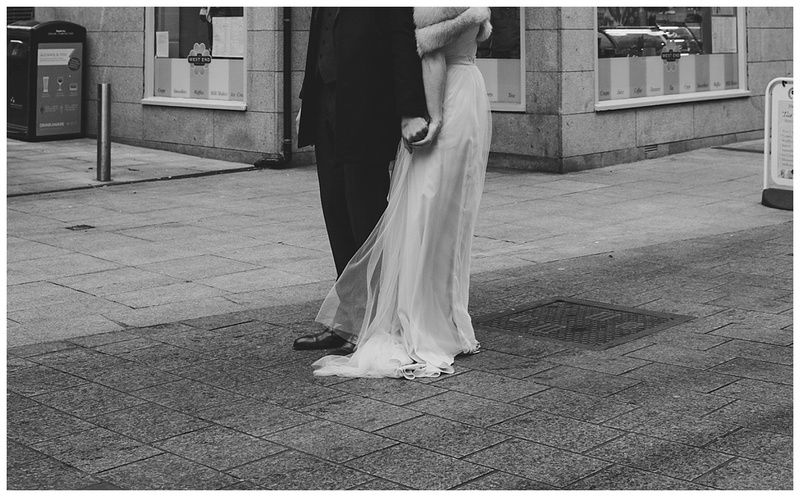 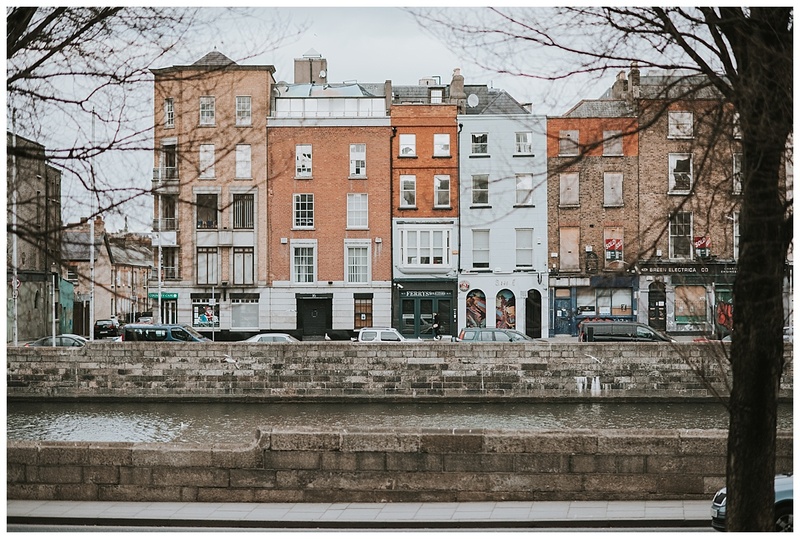 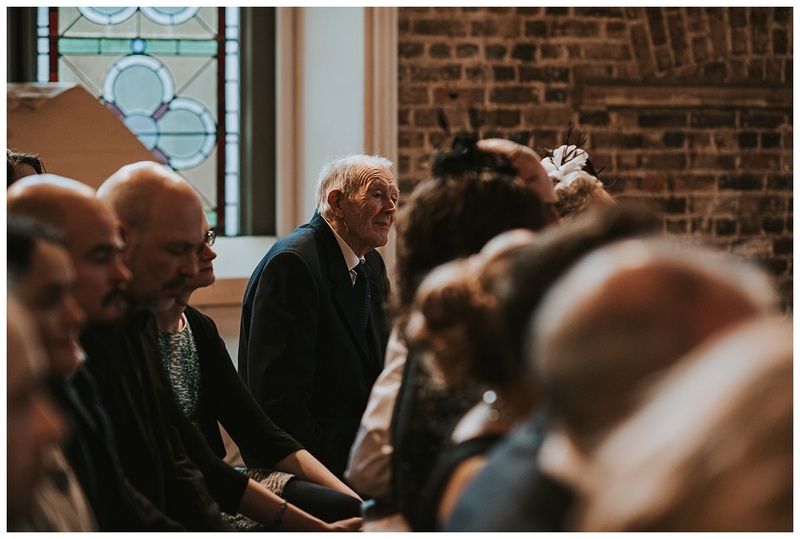 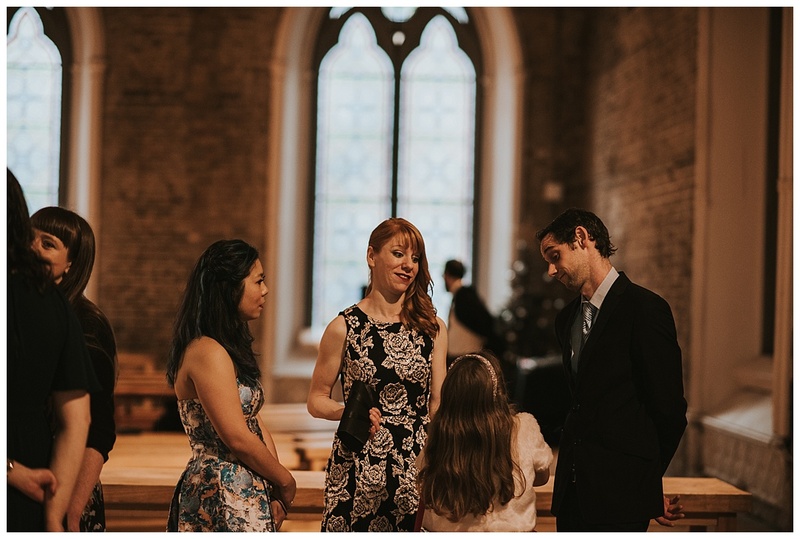 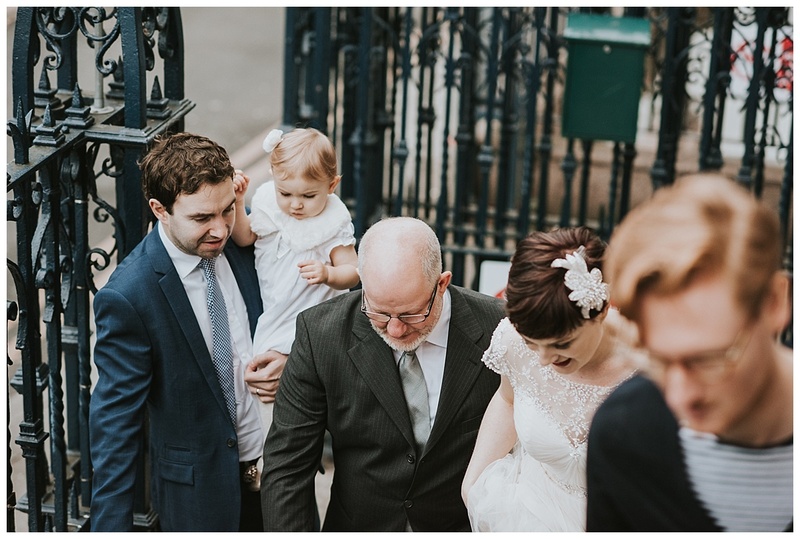 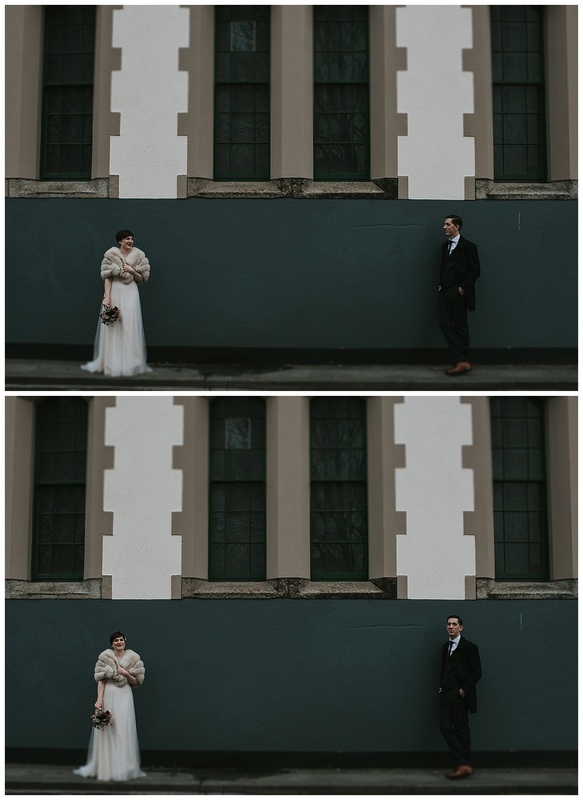 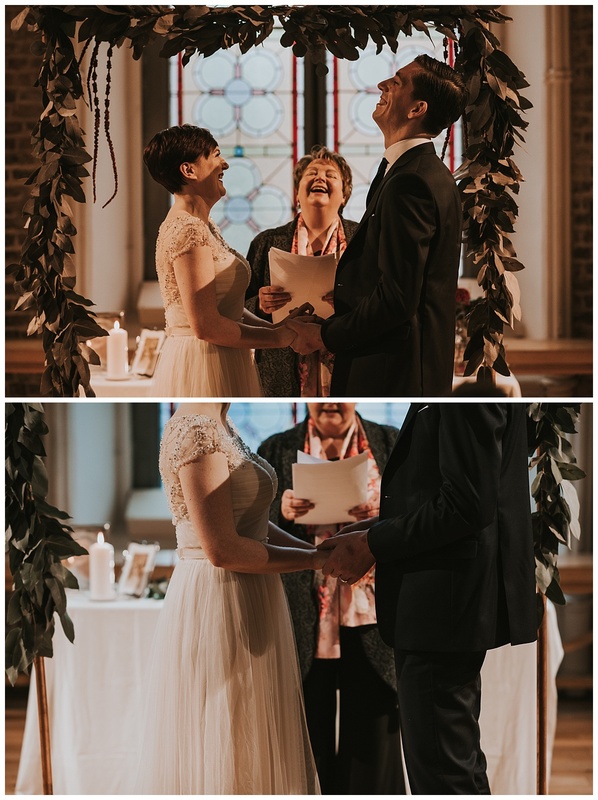 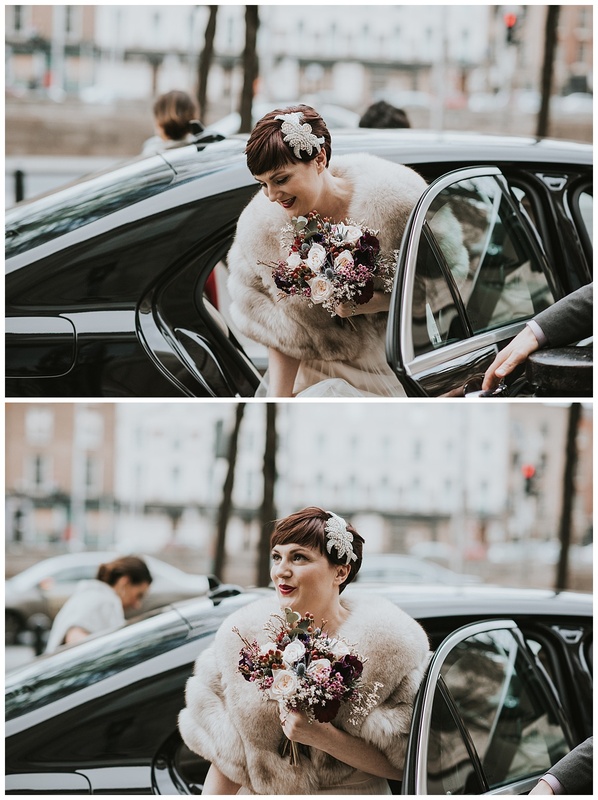 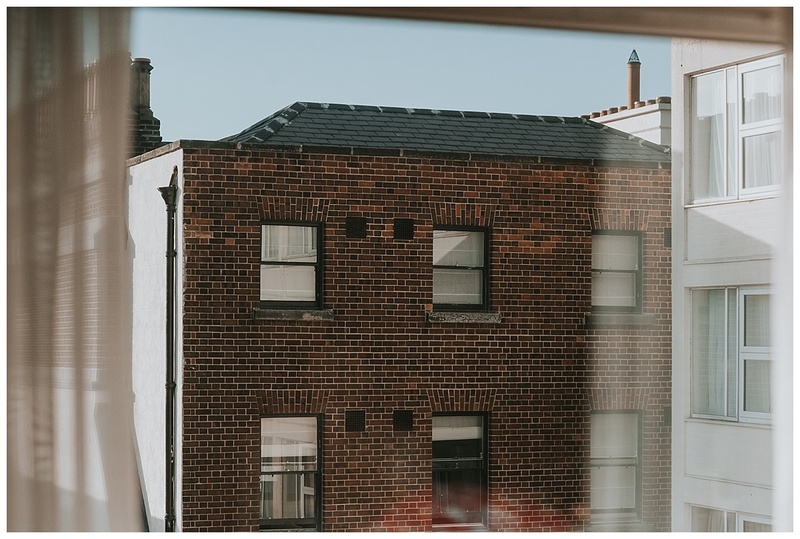 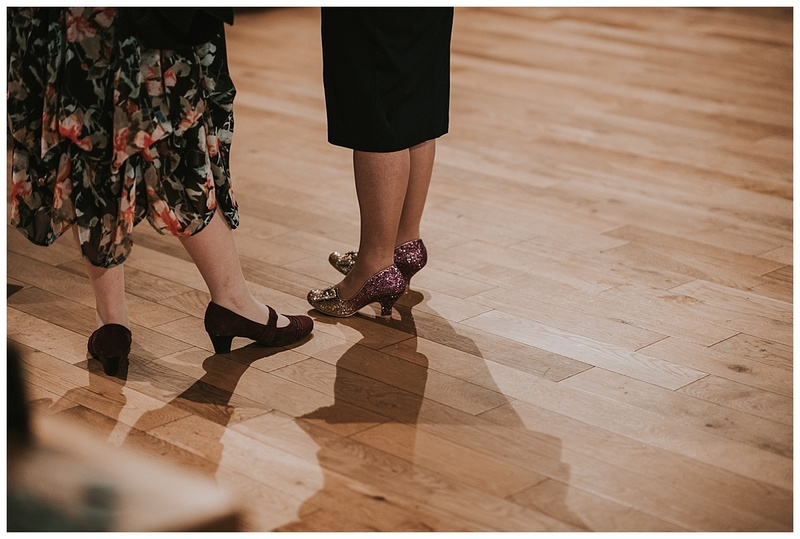 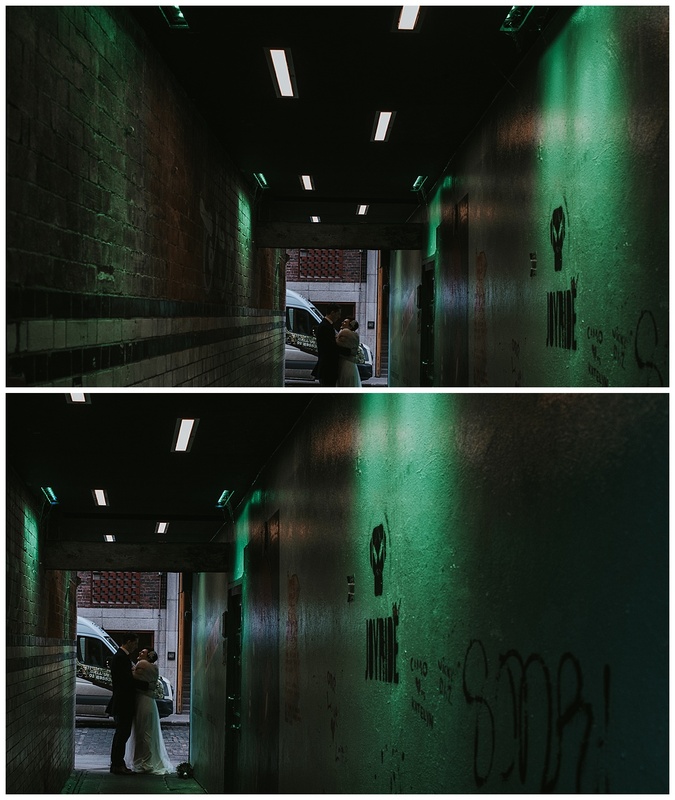 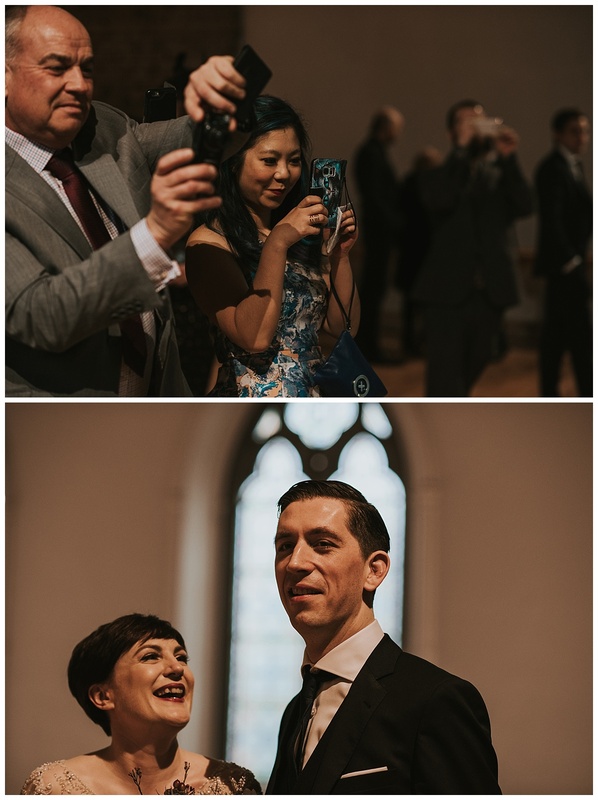 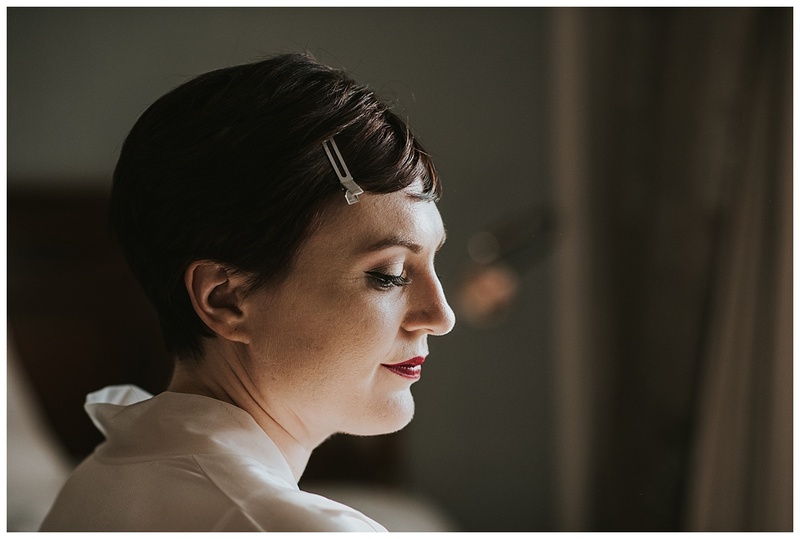 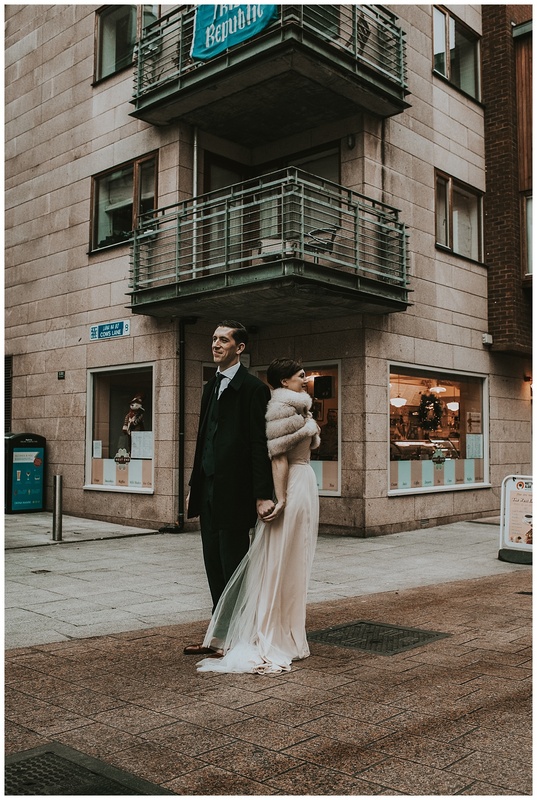 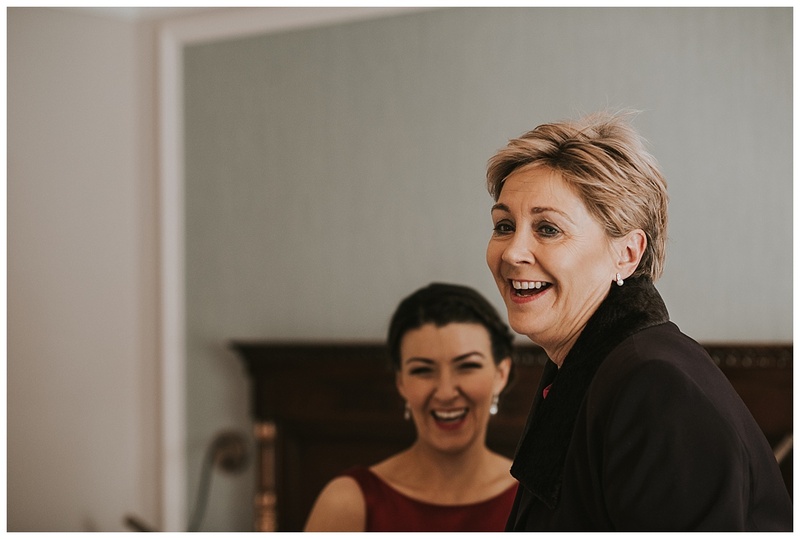 Both herself and Stu wanted a really relaxed city wedding with their nearest and dearest with no fuss, not loads of group shots just one big one outside Smock Alley and the rest was left up to me! 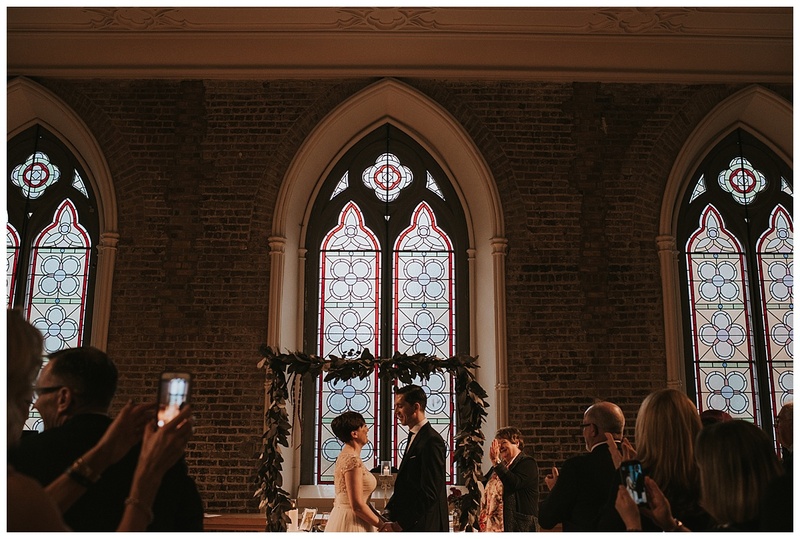 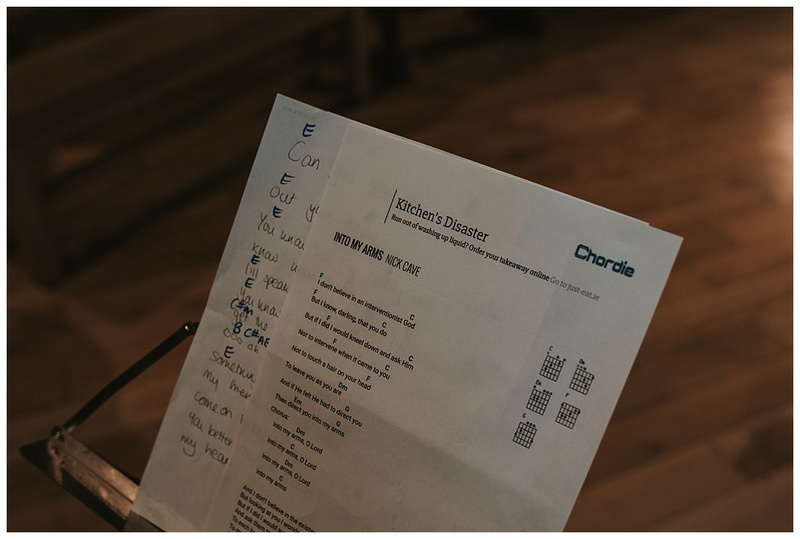 I’ve shot at Smock Alley a couple of times now and it was such a pleasure to go back again for NYE. 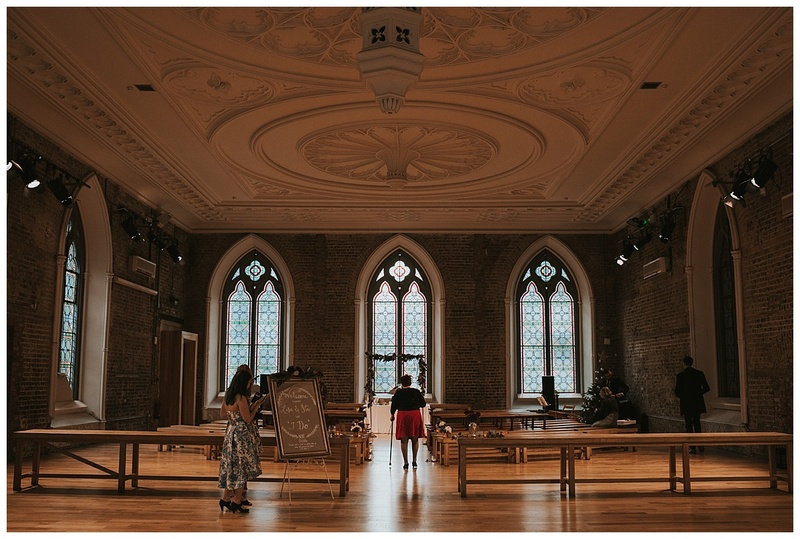 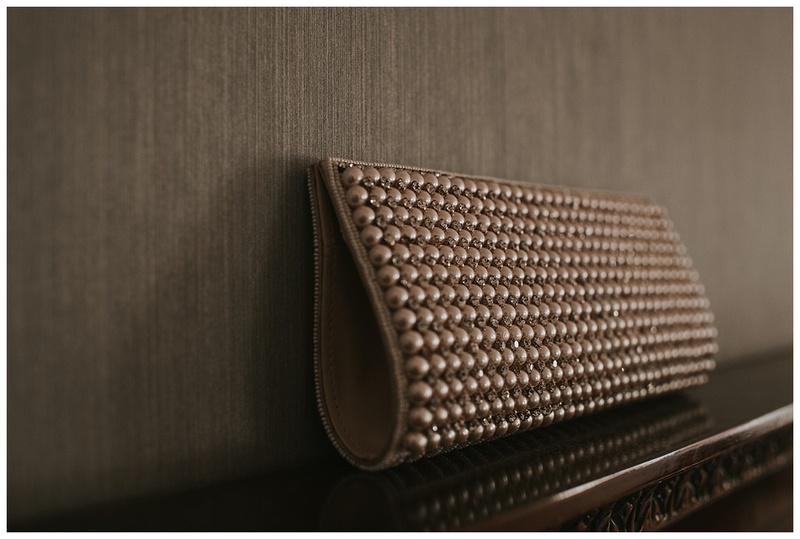 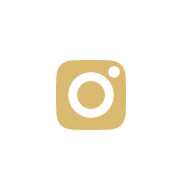 Even though it is right smack in the centre of the city, when you enter the banquet hall you feel like you are entering another era with its giant glass windows, it is so peaceful, you kind of forget about all the hussle and bustle taking place outside. 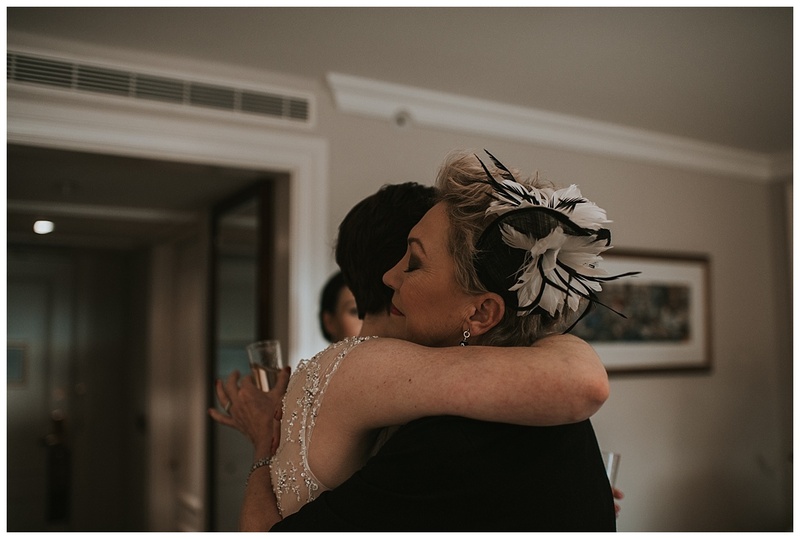 Nick Cave’s ‘Into my Arms’ played as Lisa walked down the aisle (one of my all time favourite songs) and you couldn’t hear a pin drop. 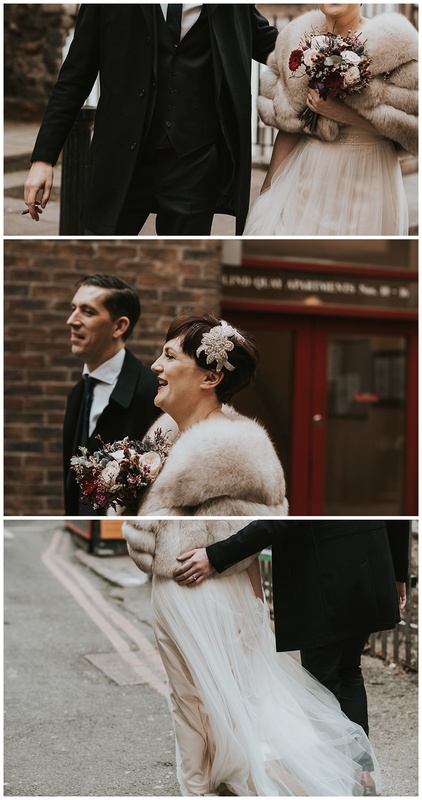 After the ceremony everyone gathered outside for the group and confetti shot and as the bus arrived for the party to continue on at The Anglers Rest, I grabbed Lisa and Stu for a few quick couple shots before they left! 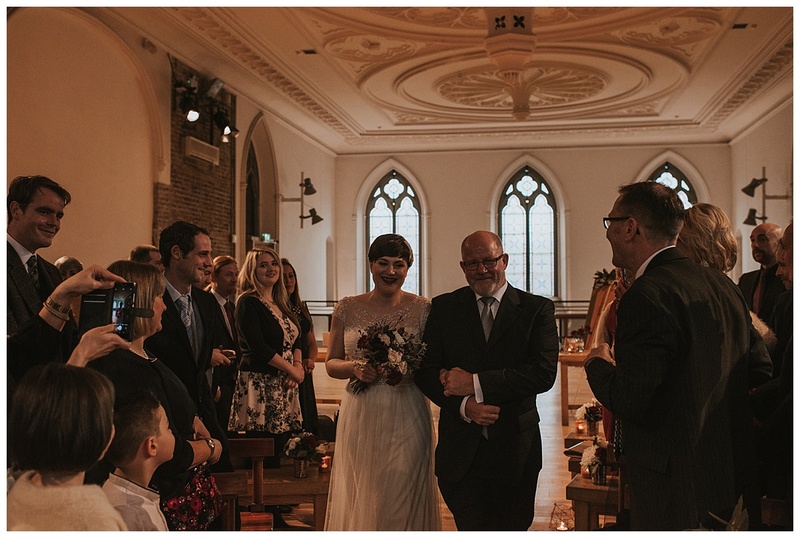 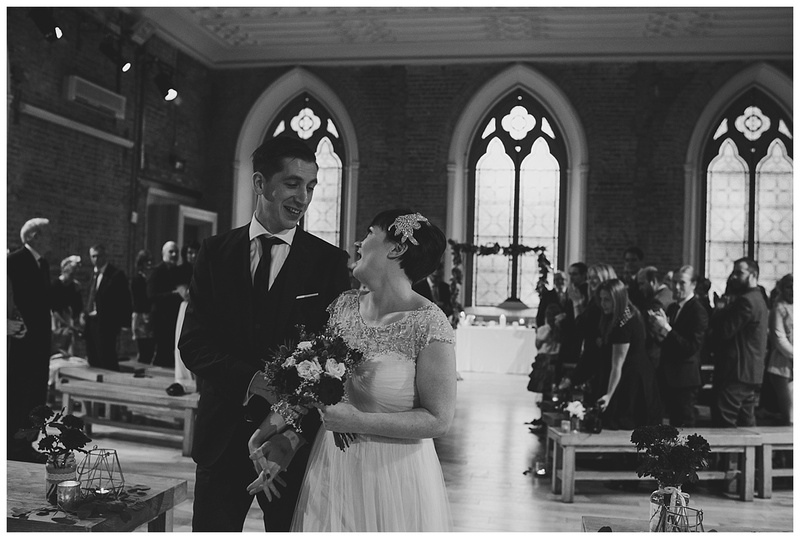 Couldn’t have asked for a nicer way to finish of 2016 with Lisa and Stu’s Smock Alley wedding! 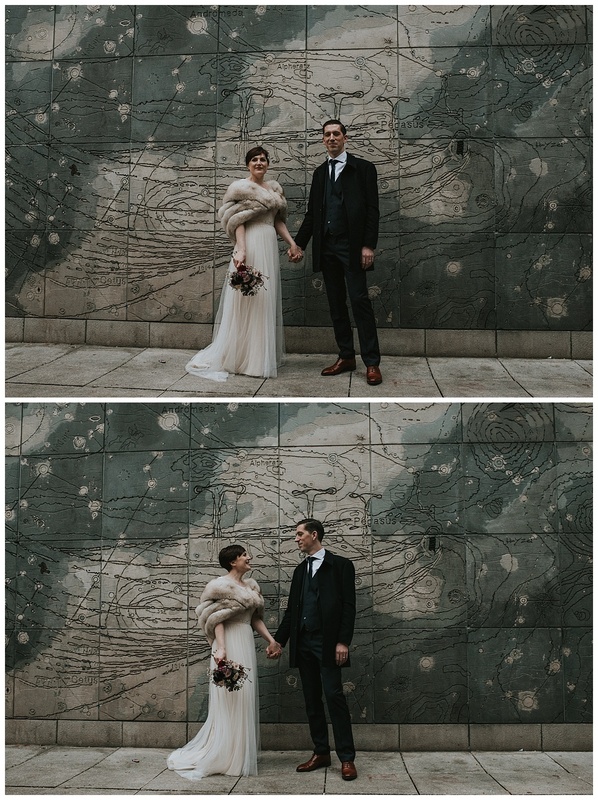 Congrats to these two!